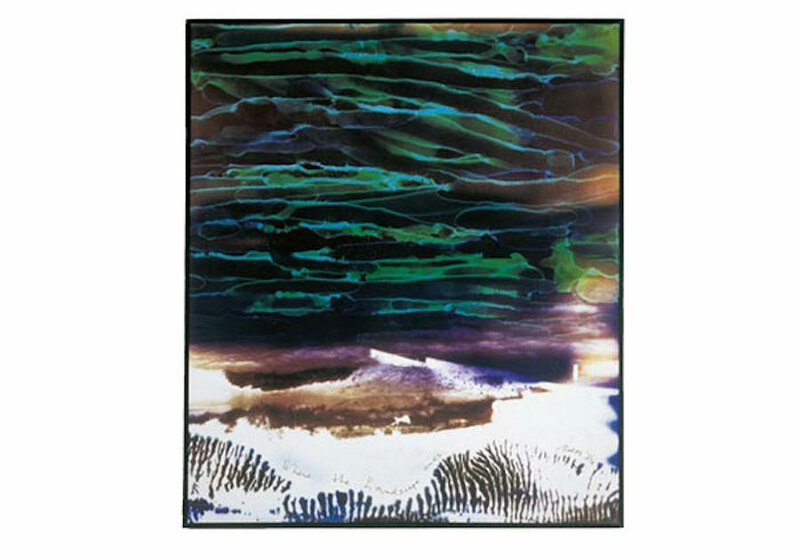 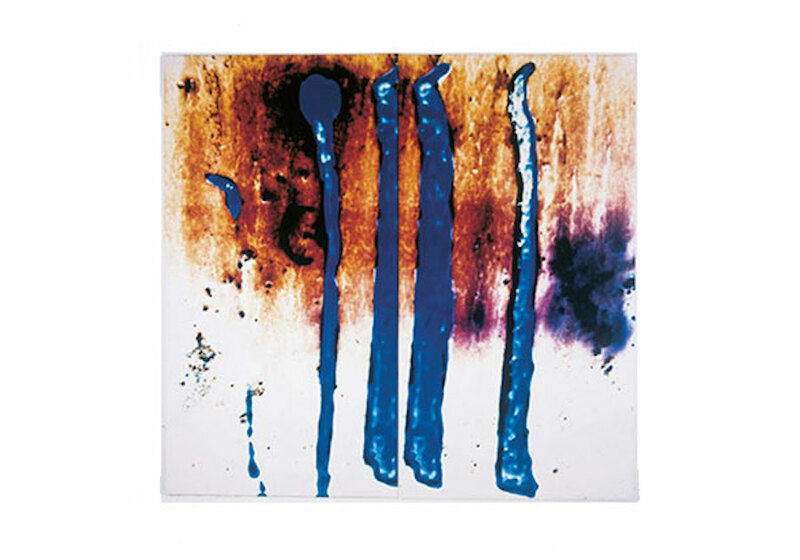 As with other works that Balth made since the late 1960s, his most recent series of Videowatercolors (2000 onward) engage in a poetic exploration of light and perception by studying the ever-shifting properties of light—its reflections and refractions, tints and colors, movements and rhythms. 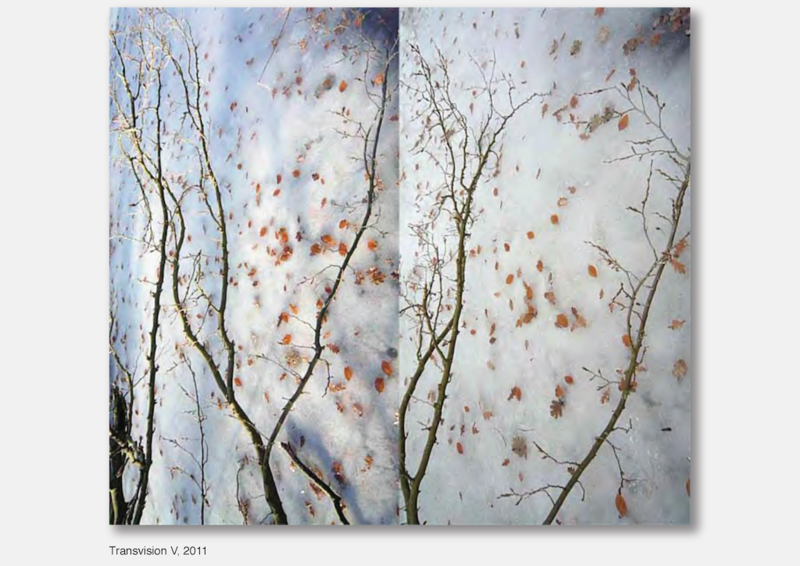 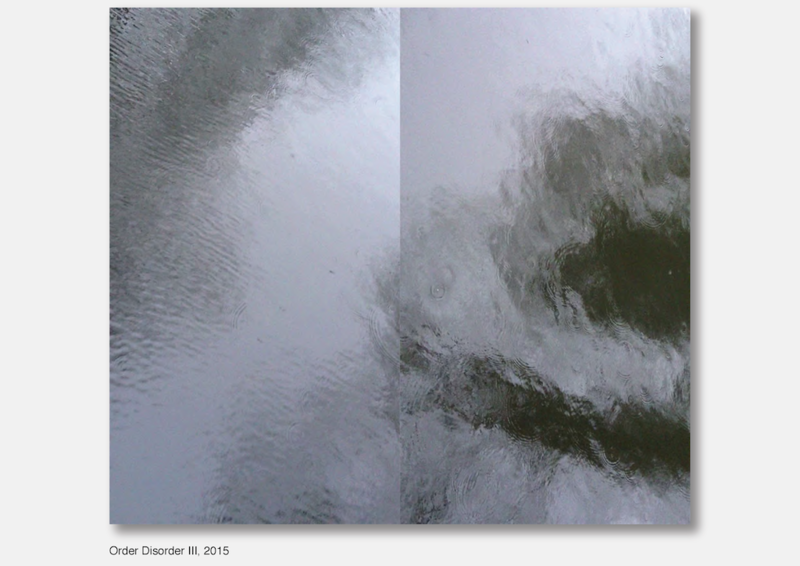 The term Videowatercolors invokes the unlikely blending of two mediums of distinct properties. 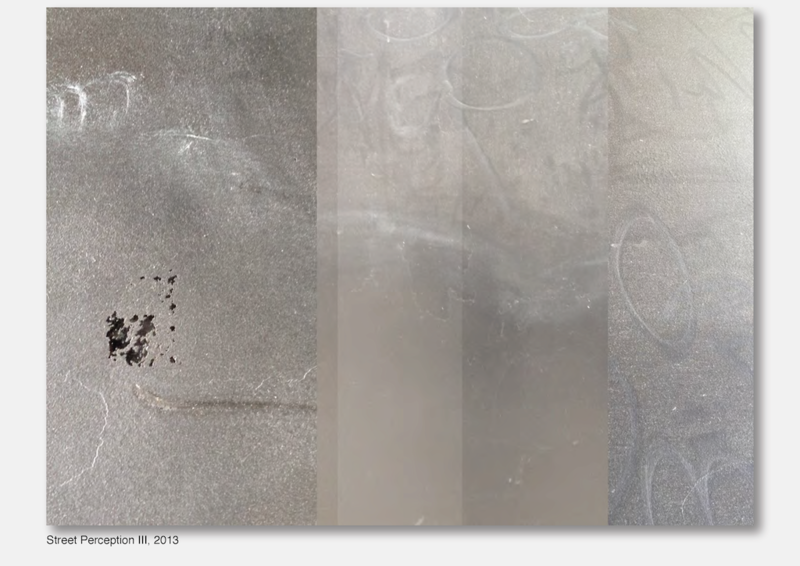 Balth explores the effects of the unceasing flow of pixels that constitute digital video capture on silk-barite or velvety watercolor paper. 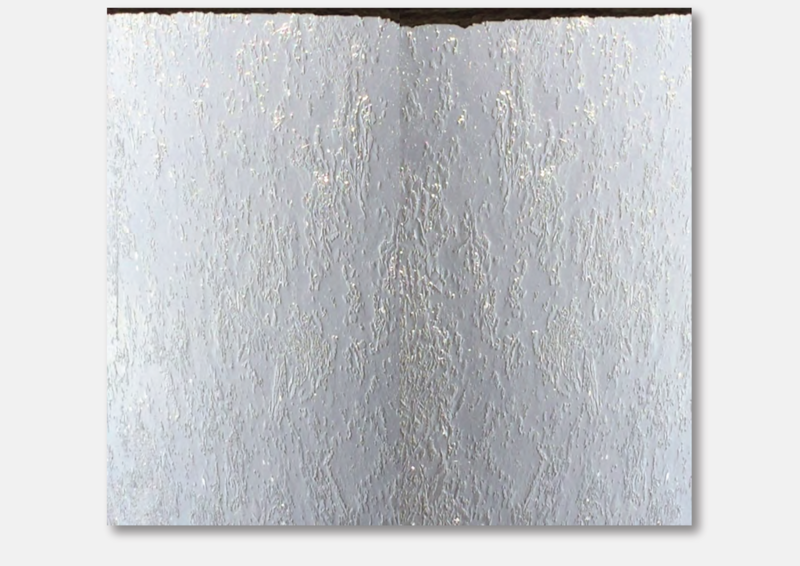 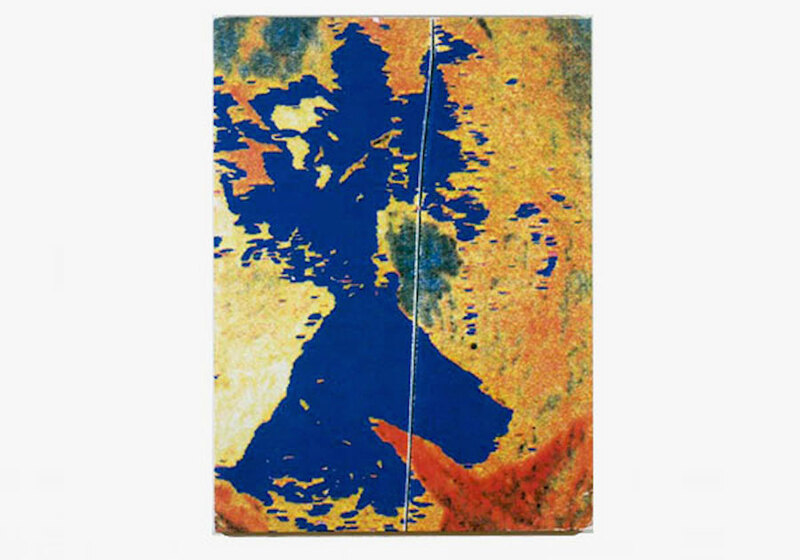 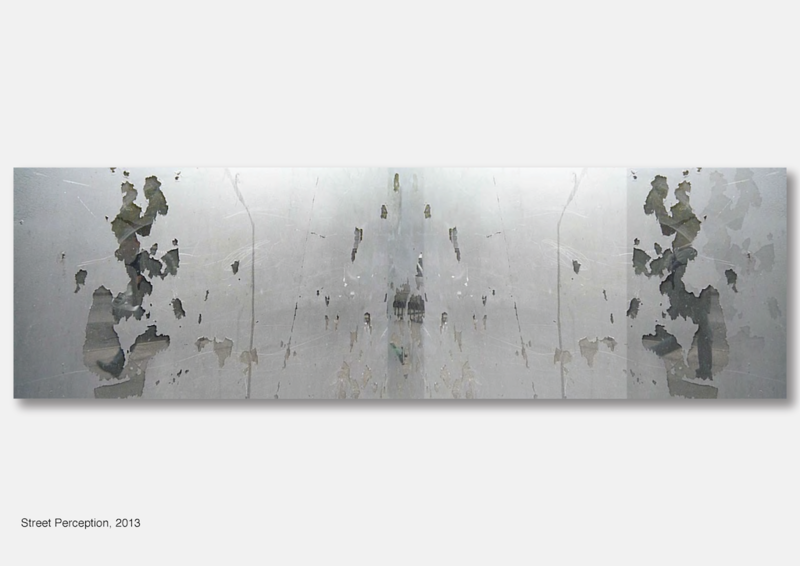 In more recent works, he works on harder surfaces, with the image sandwiched between an aluminum plate and a thin layer of epoxy that has been matte-polished to such perfection that it attains the sfumato softness of tufted paper. 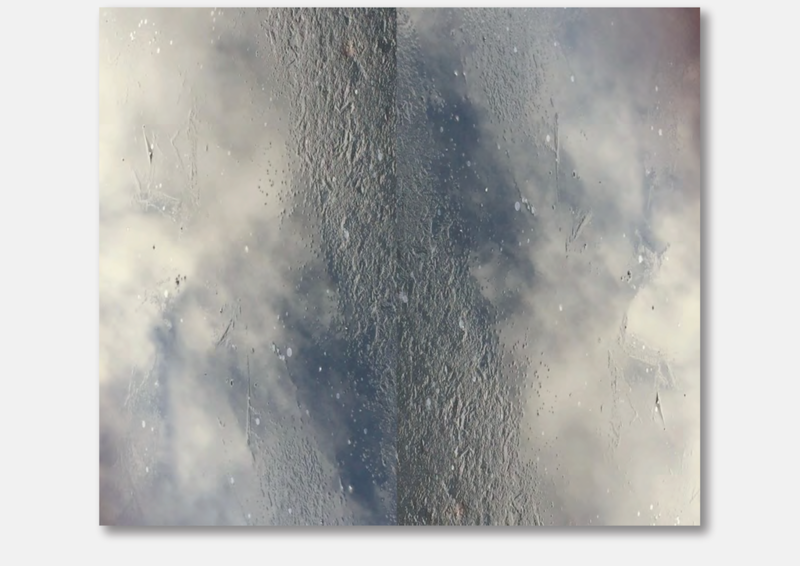 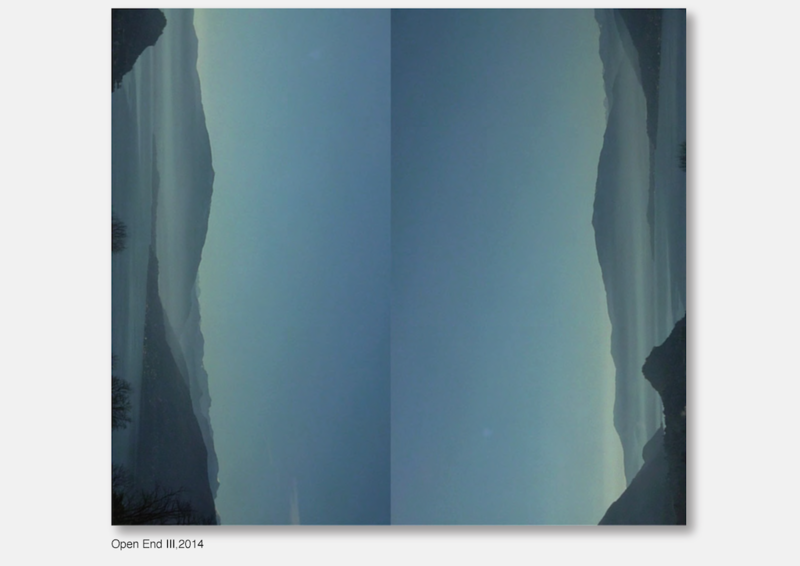 Two or more images, ‘video-grabbed’ from visual reality yet altered in appearance through unexpected tilts and perspectives, combine to make a new whole that hovers between reality and abstraction. 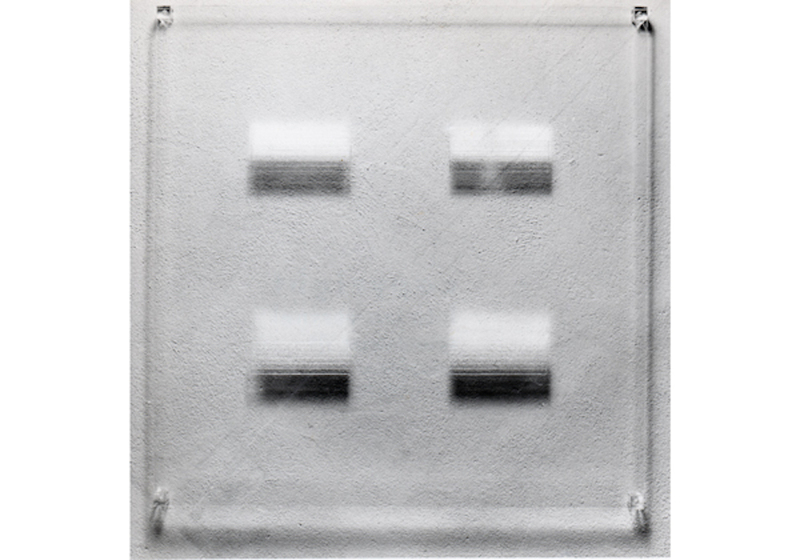 The resulting compound work, wondrously simple yet ingenuous, prompts aesthetic and ethical questions about the ways in which we see and understand the increasingly complex world around us. 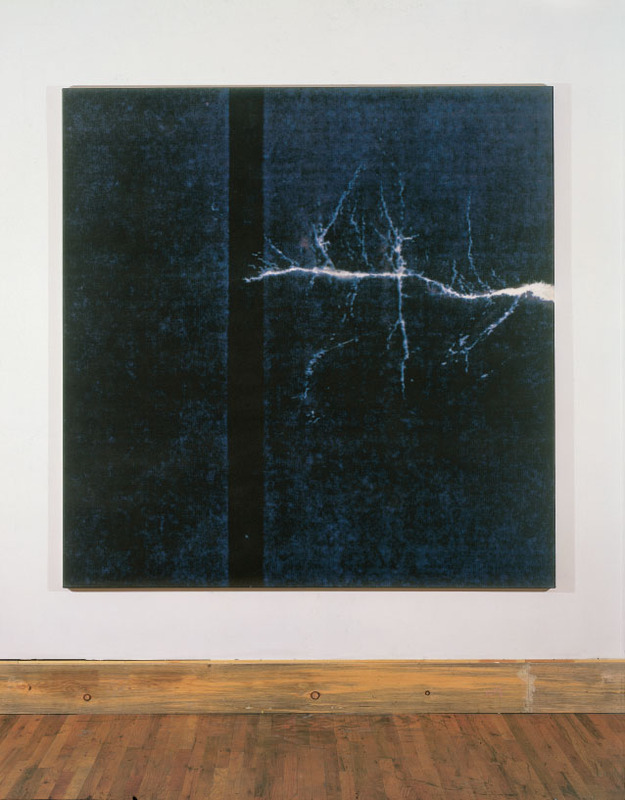 In Balth’s work artistic and cultural insights are, from the early beginnings, always in pace with recently developed technologies. 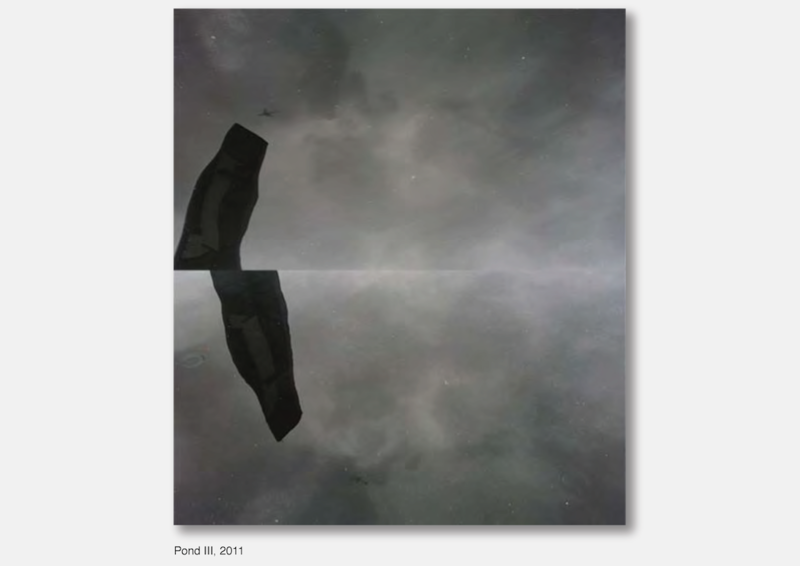 A minimal, yet poetic approach enhances the conceptual complexity of his issues. 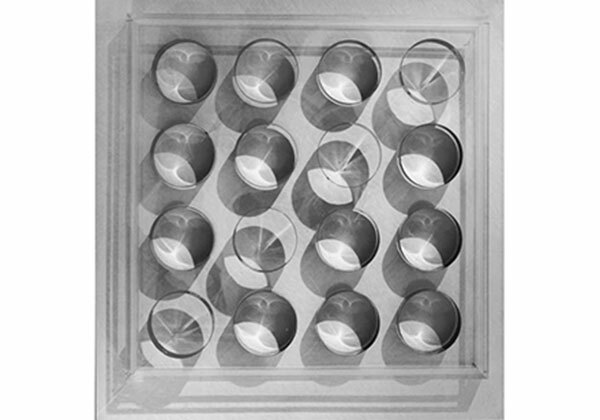 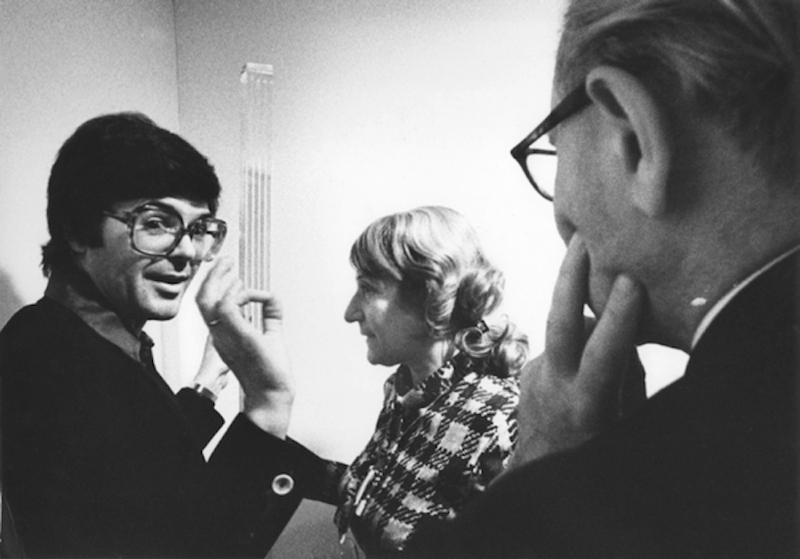 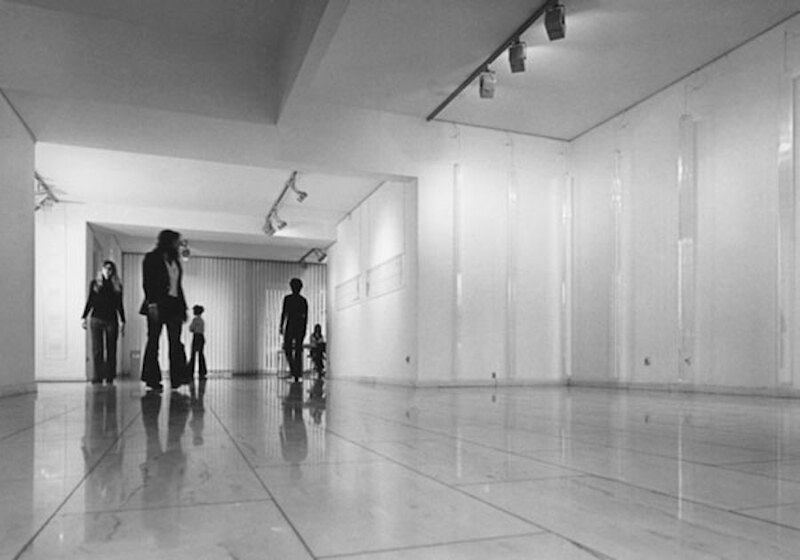 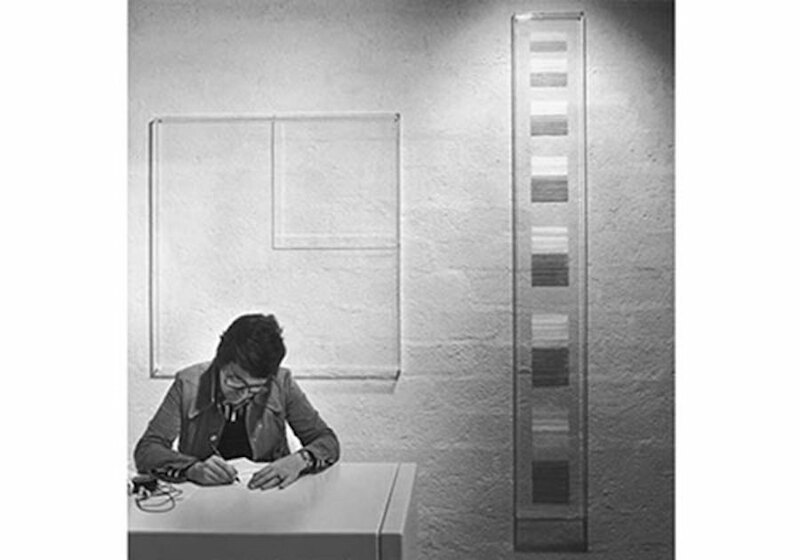 Carel Balth started his career in the late 1960’s, realizing abstract Light Objects, made of crystal clear plexiglass. 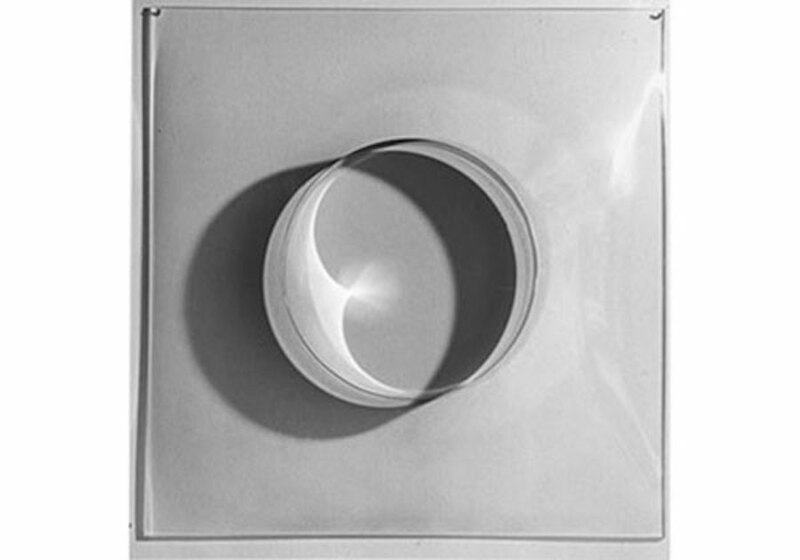 All Light Objects consist of Plexiglas, a material known for its remarkable transparency (greater than glass), which allowed Balth to ‘sculpt’ with light on different surfaces and thereby make visible what it is that makes us see in both two and three dimensions. 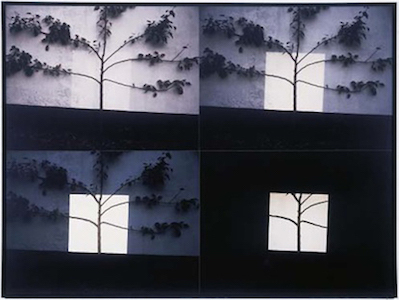 Balth thus took light as his medium and sought to concretize it as clearly as possible. 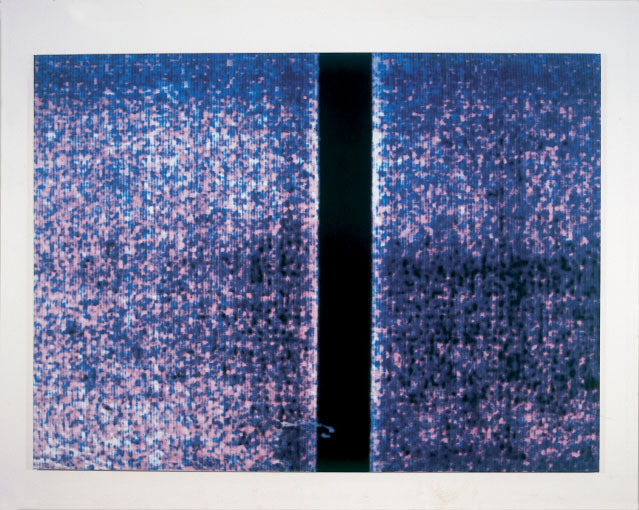 In these works, he allows light and matter to flow into each other, thereby involving the viewer in the process of separating the two. 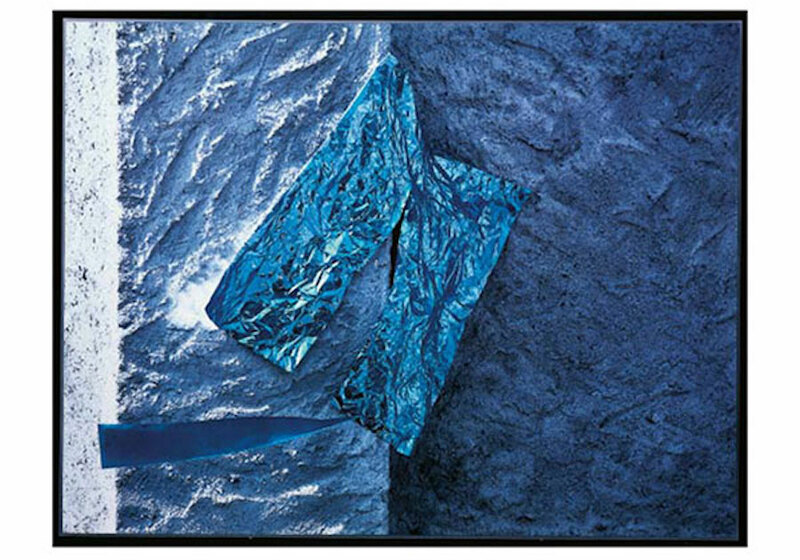 The first works in the series often have shiny metal bands set into the Plexiglas, which reflect the light in poetically suggestive ways. 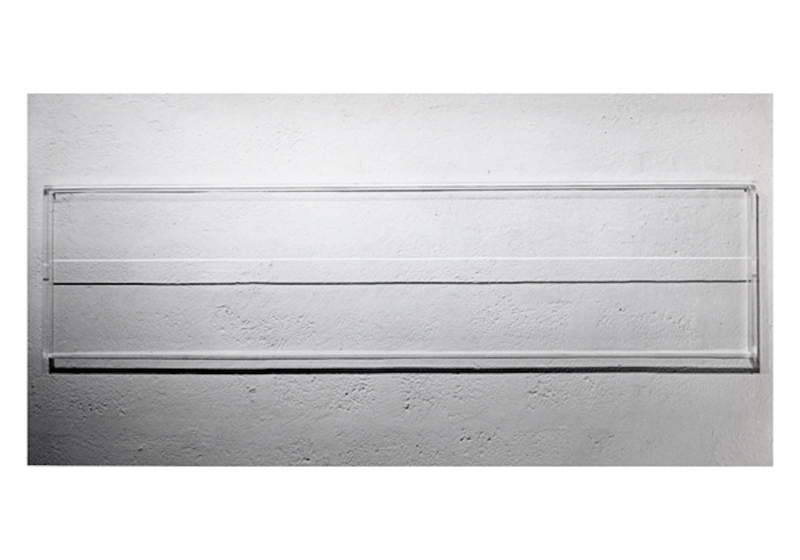 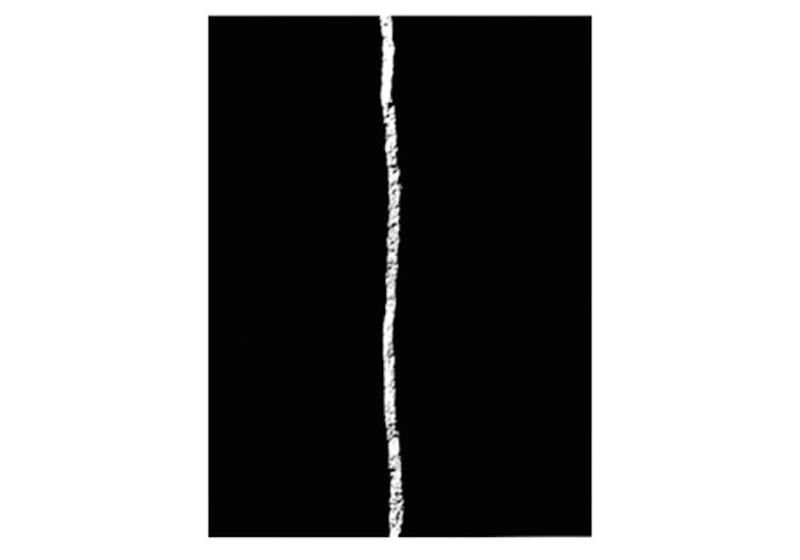  Later works, such as the rods (long, hanging bars, which are able to turn slowly), actively play with light through the subtle movement in the refractions of the light. 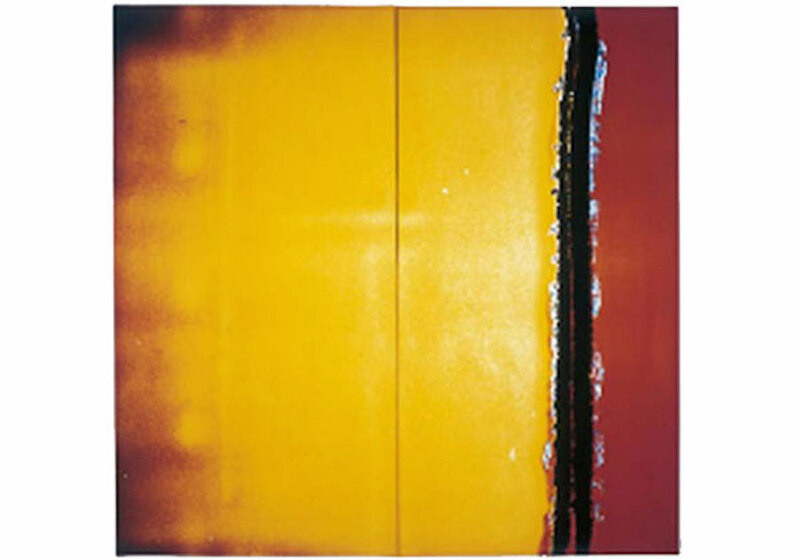 Some of the works also have color, which is not always directly visible as paint, resulting in a mysterious, radiant effect around the object. 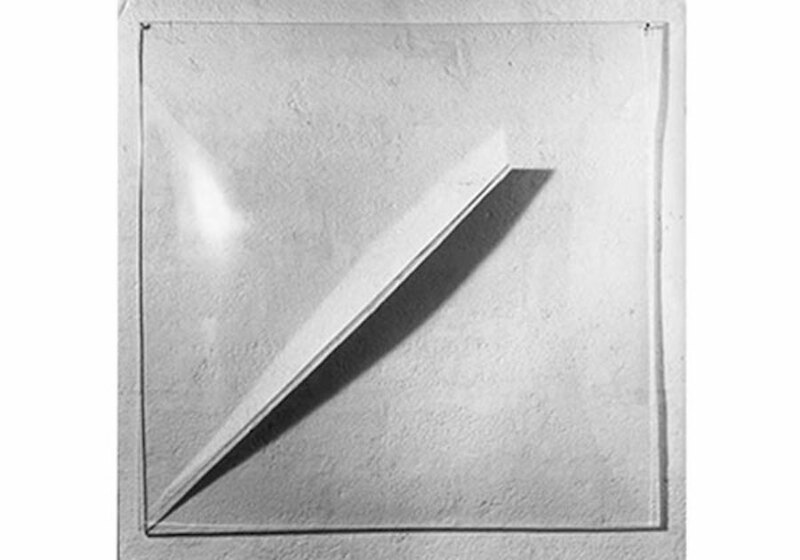 The largest group consists of simple rectangles that, by way of cuts into the material, project a light-and-shadow line on the wall. 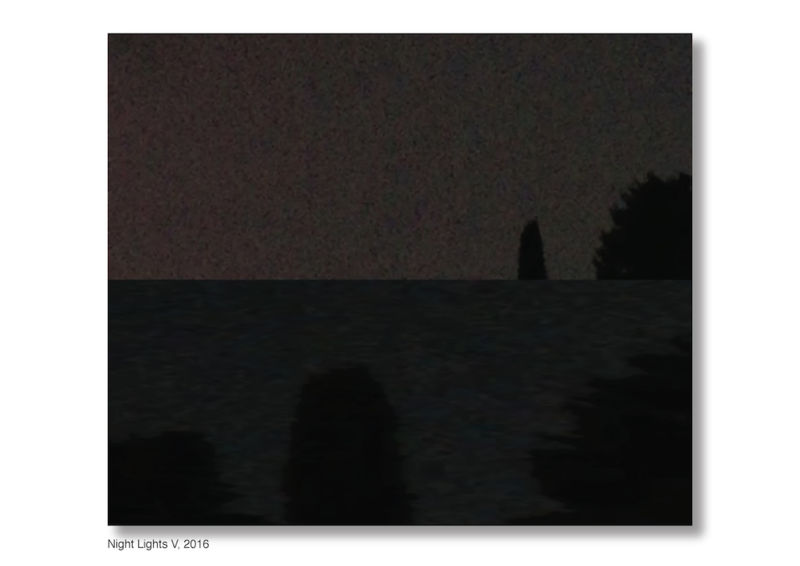 They retain a remarkable luminosity, especially under lower light conditions, thereby apparently enhancing the light lines, which causes marvel at such a simple given. 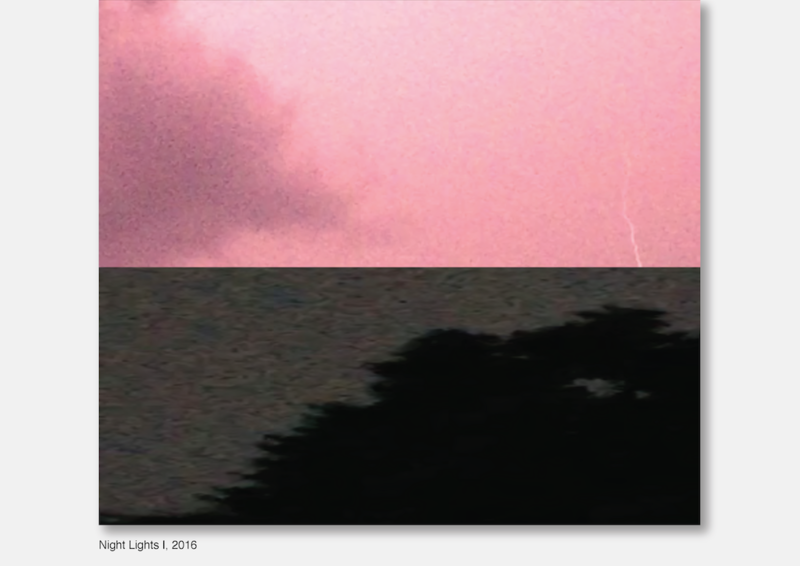 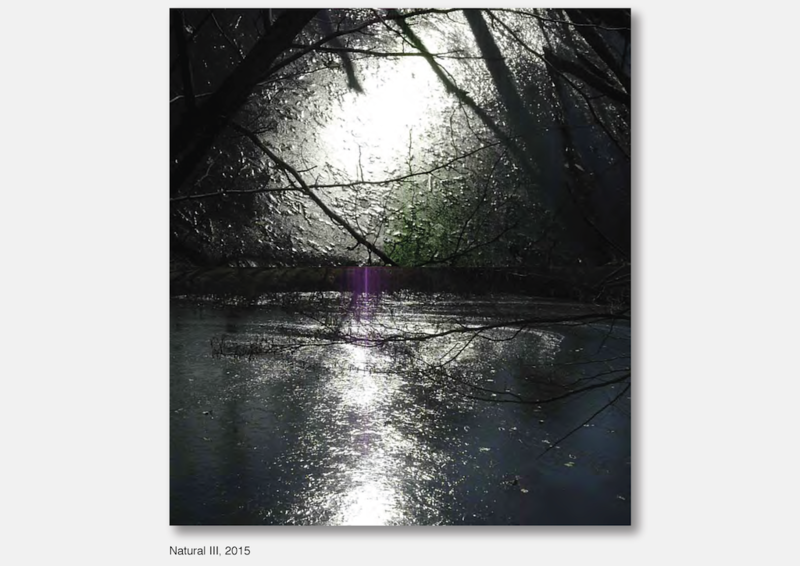 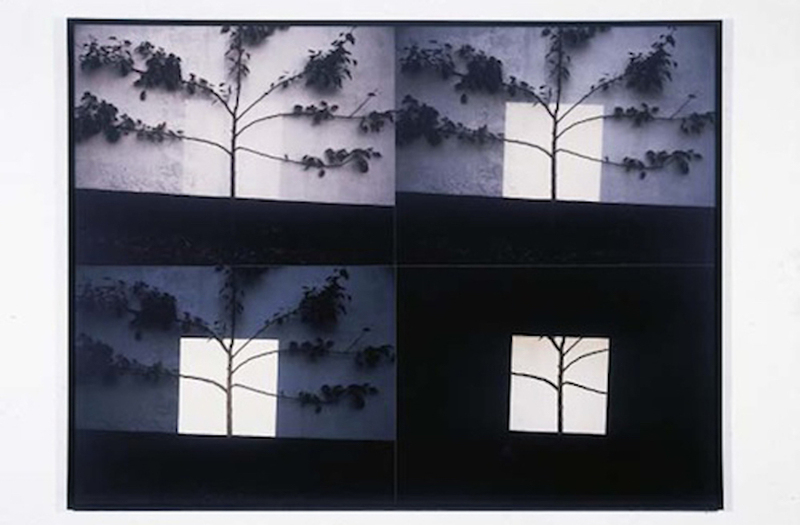 In the Light Photo Works Balth employed photography to reflect on the nature of 'reality' through shifts in perception between natural and artificial light. 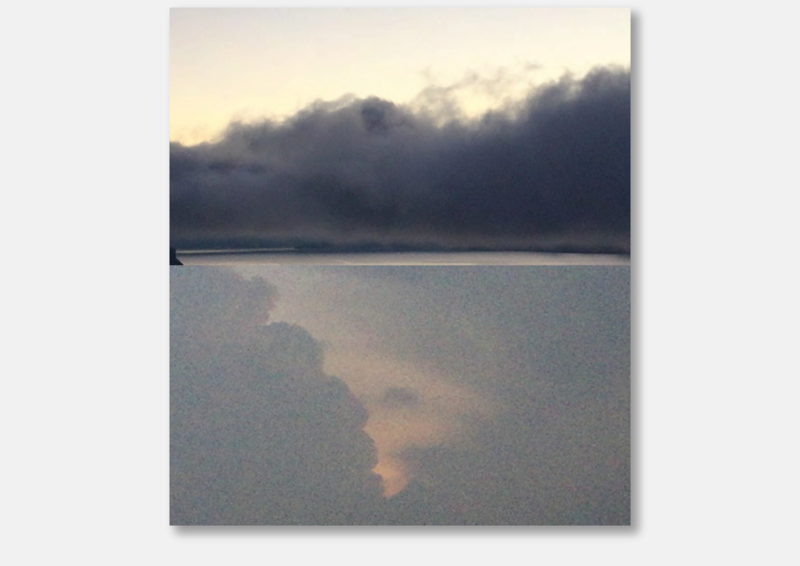 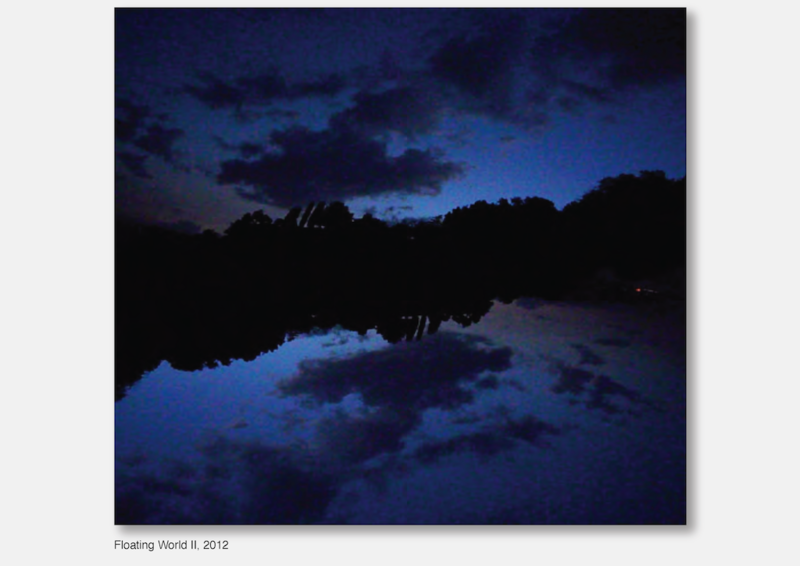 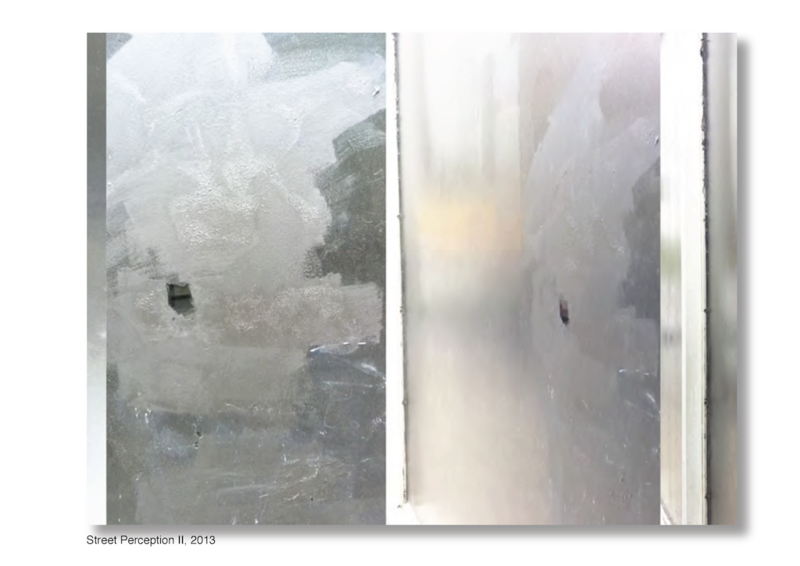 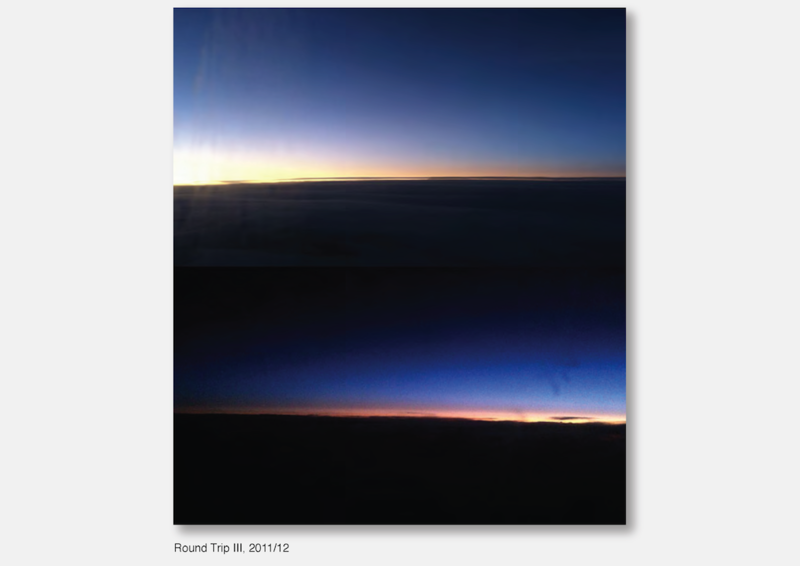 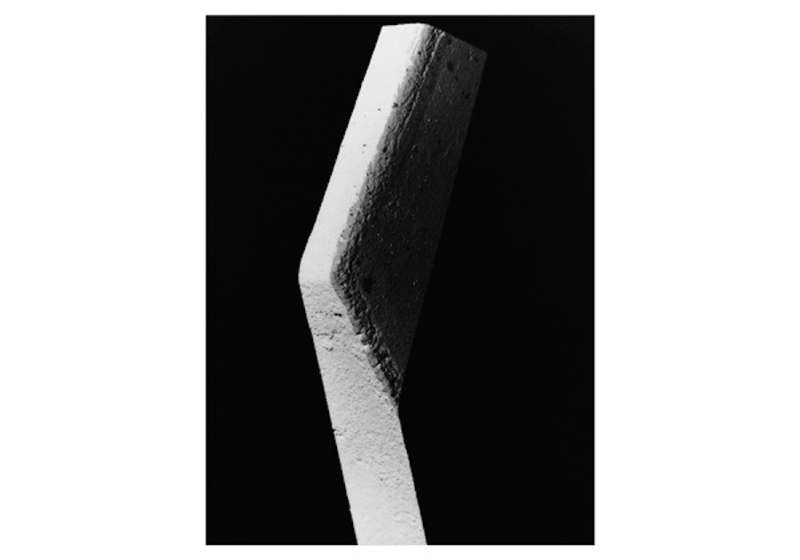 Photography is not used for its ability to record what is visible, but for its indexical qualities. 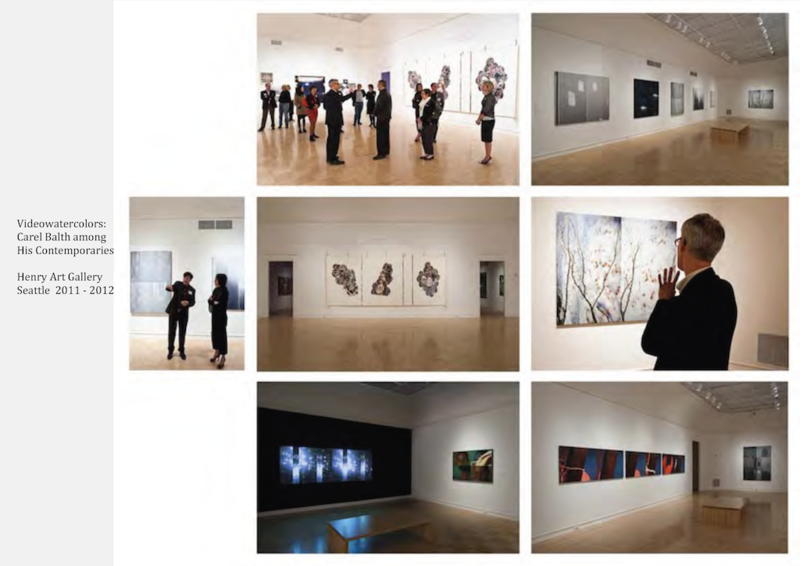 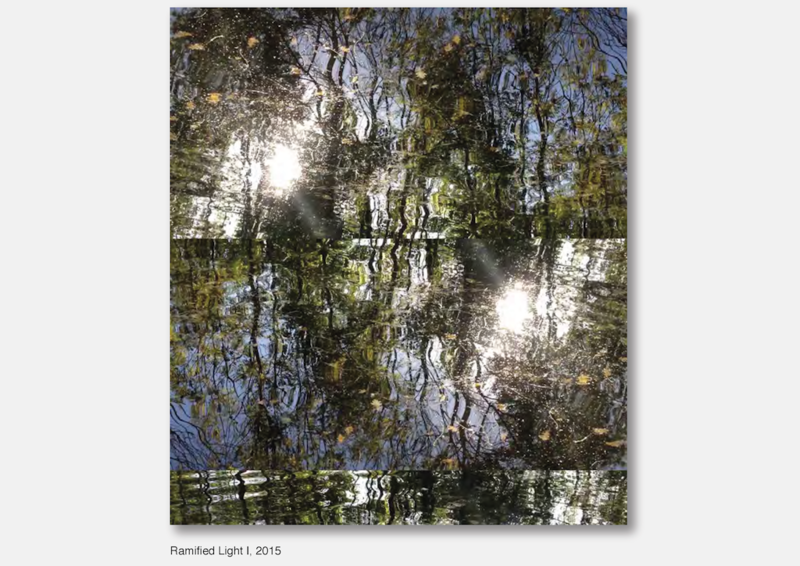 Light here becomes a trace and thus attains a presence it normally does not have, offering the viewer a means to investigate the quality and properties of light and its reflexive relationship to art. 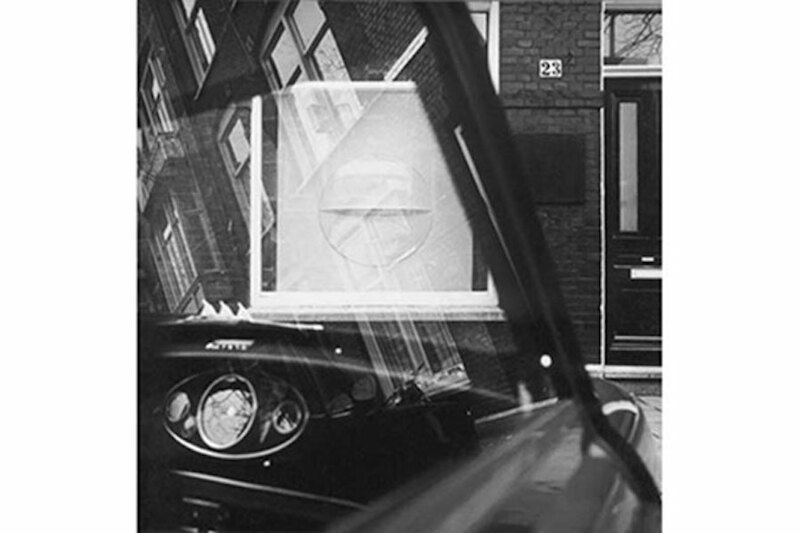 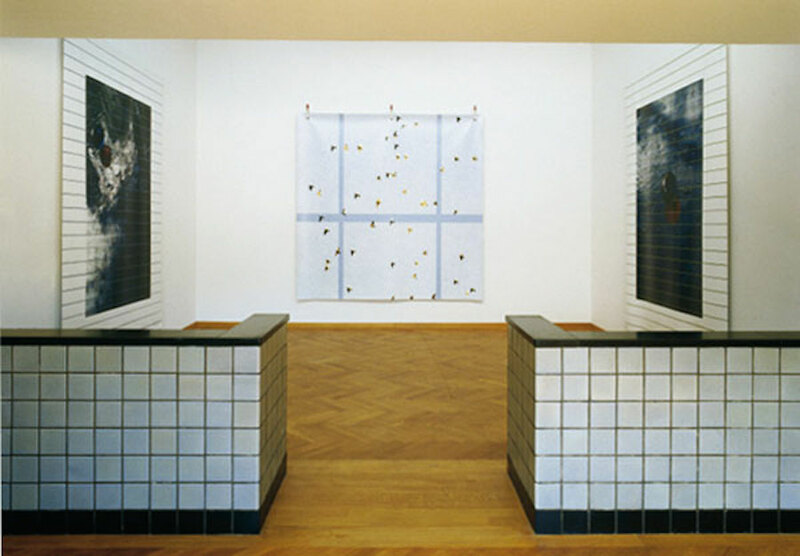 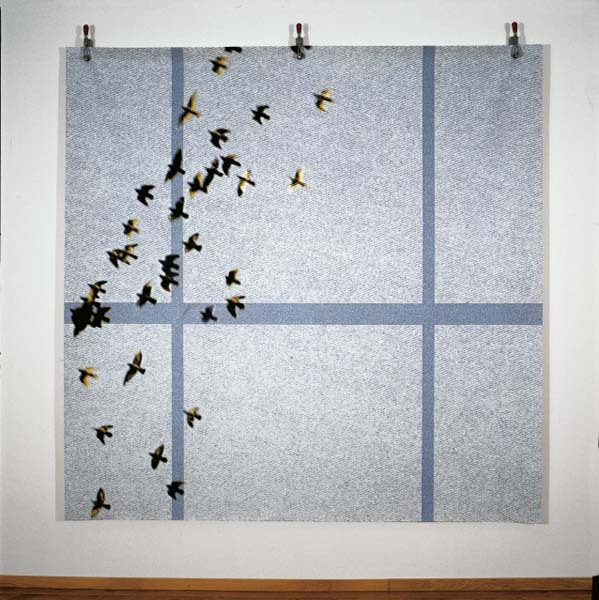 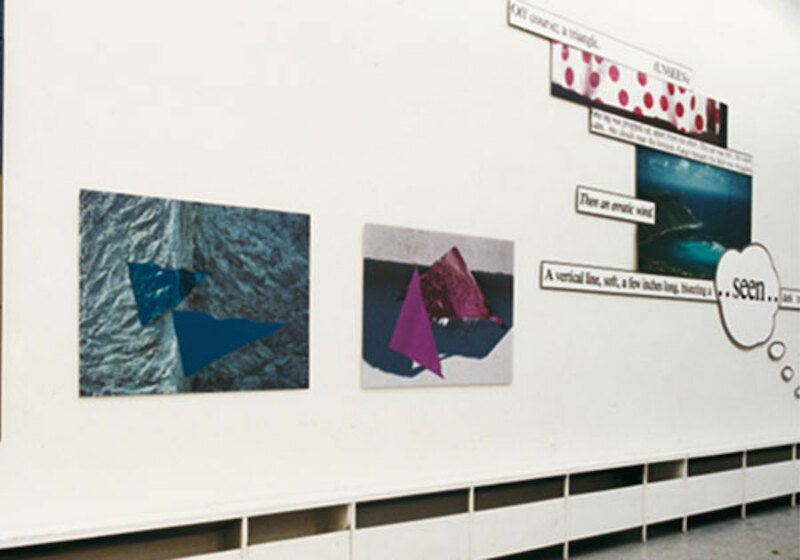 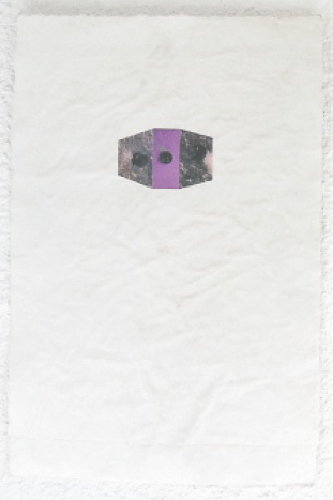 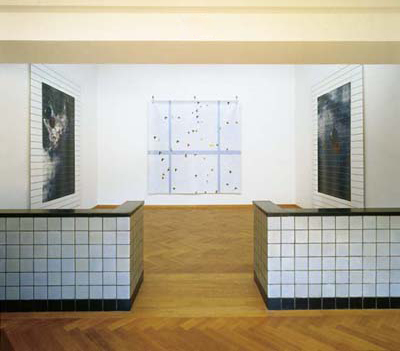 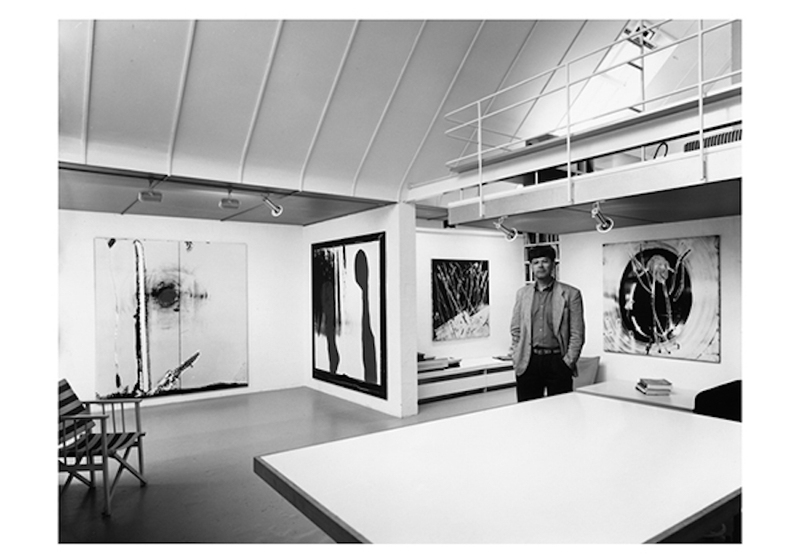 Between 1979 and 1982 Balth explored the idea of collage through new perspectives in the New Collage series. 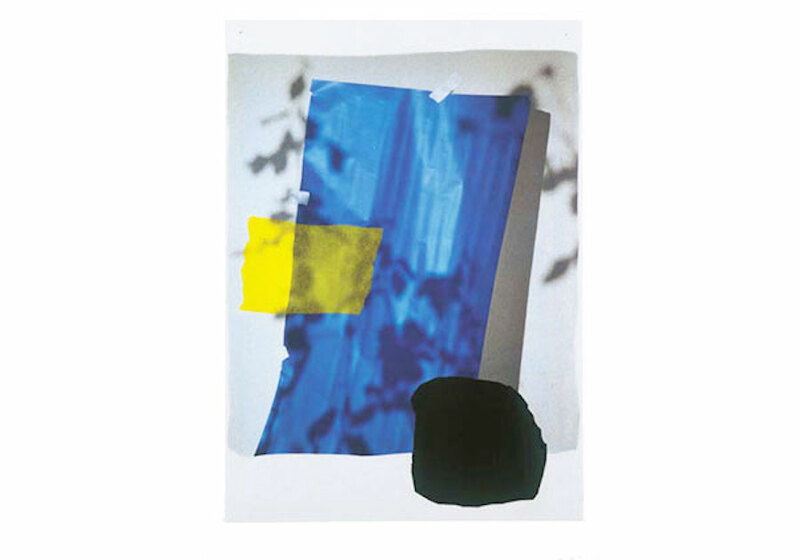 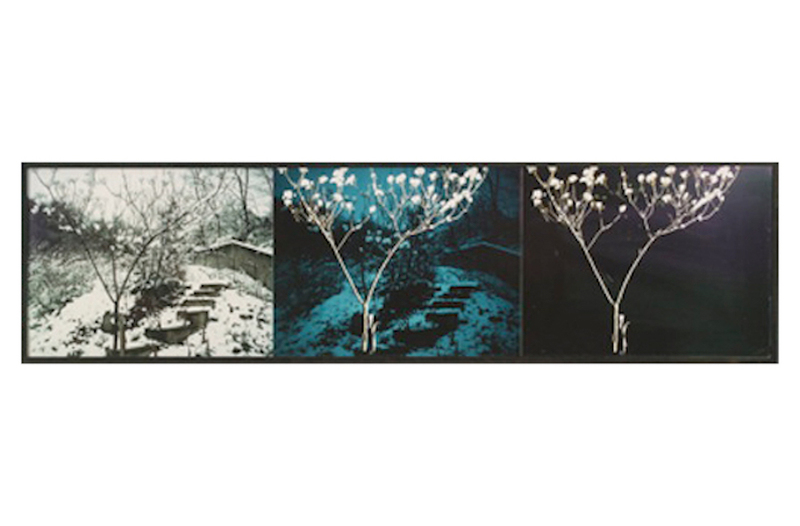 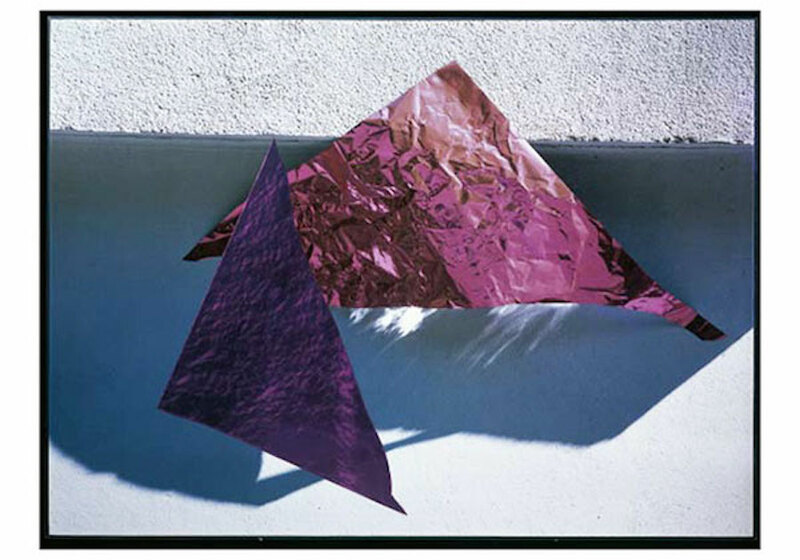 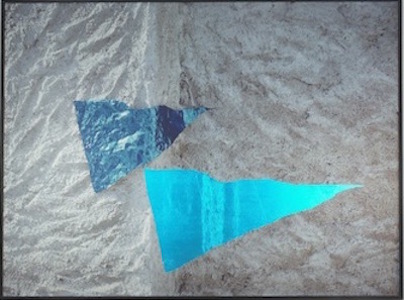 Balth revived collage to include the medium of photography, juxtaposing a piece of reflective foil that reflects real light back to the viewer with its photographed double, which, placed in close proximity, reflects an earlier reality. 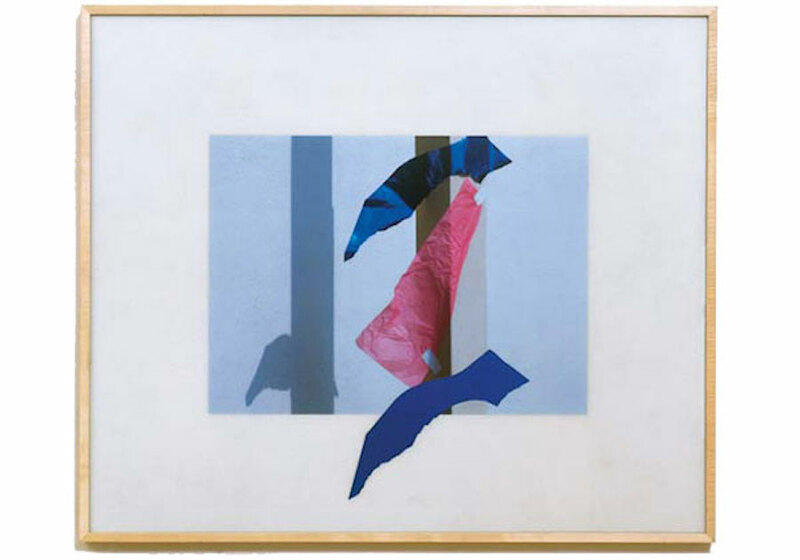 These elements reveal what is real and what is only represented, while putting the idea of collage itself into question. 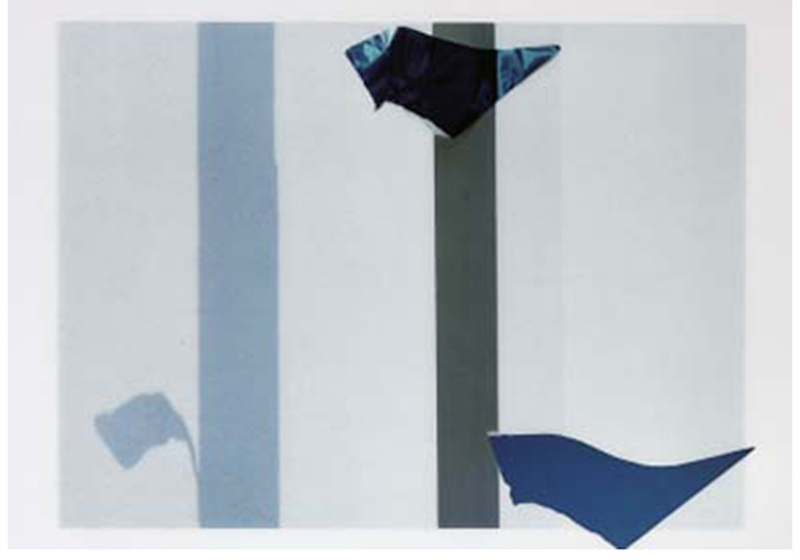 Commonplace motifs engage in a magical play of real-scale juxtaposition, contrasts and similarities, materiality and transcendence, with light raking across walls that are marked by the shadows cast by the foil, which curve in real space and rhyme in turn with the curves of cutout shapes. 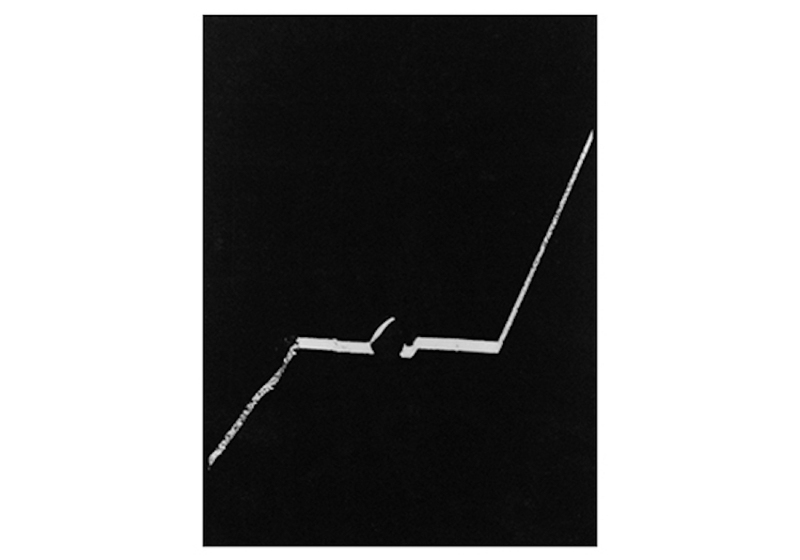 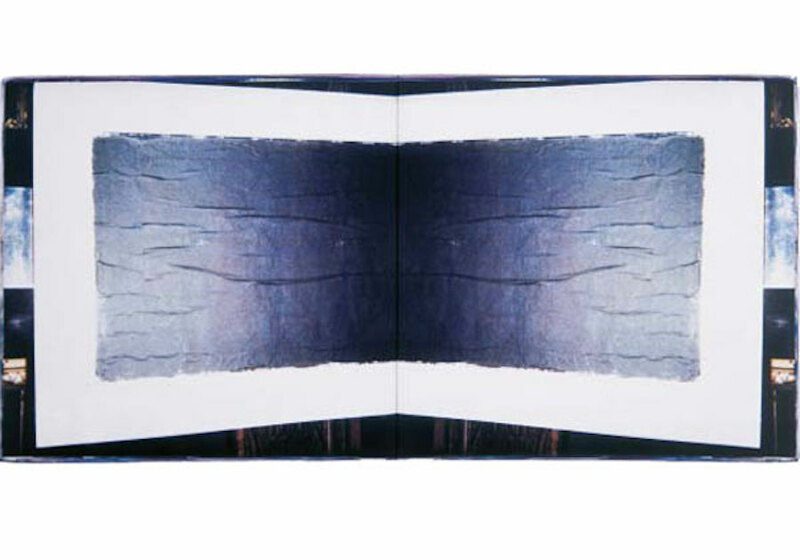 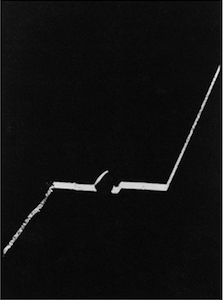 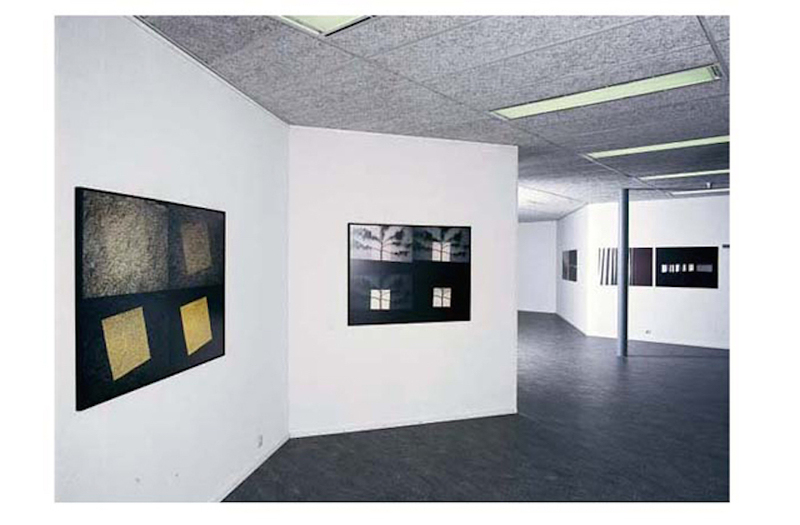 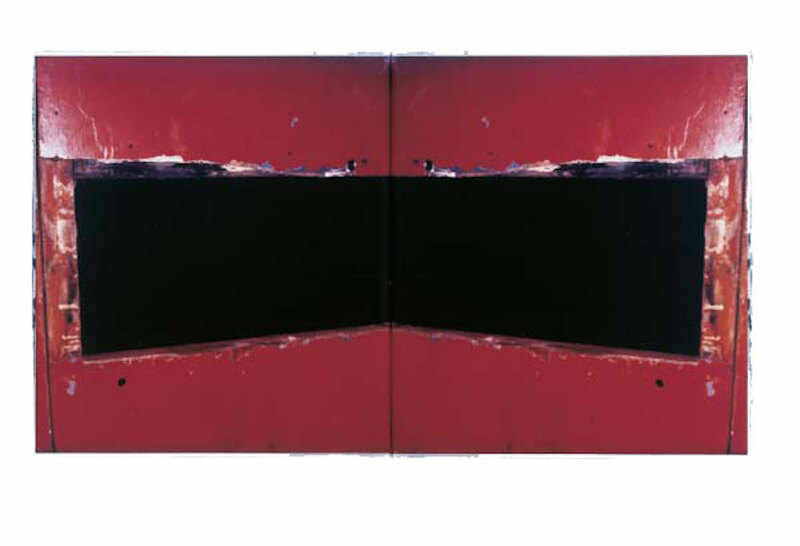 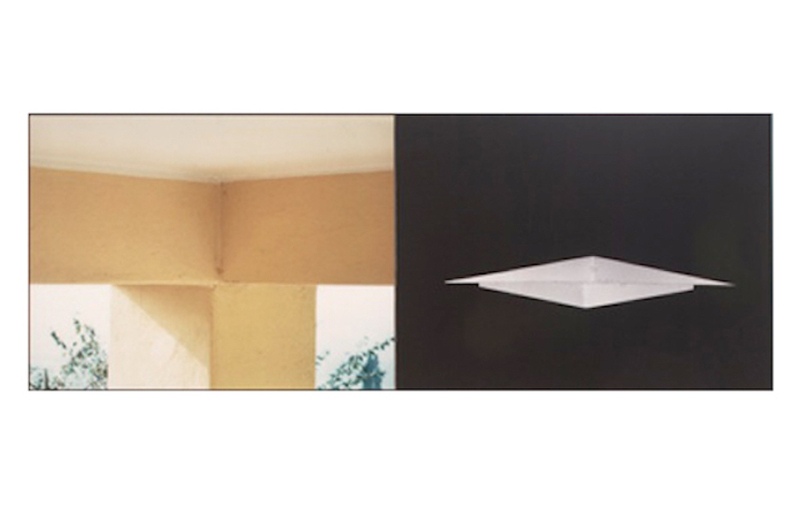 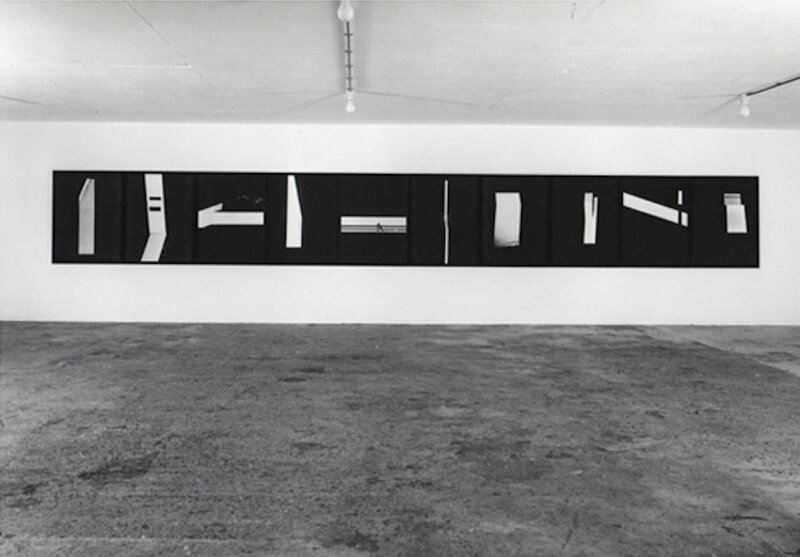 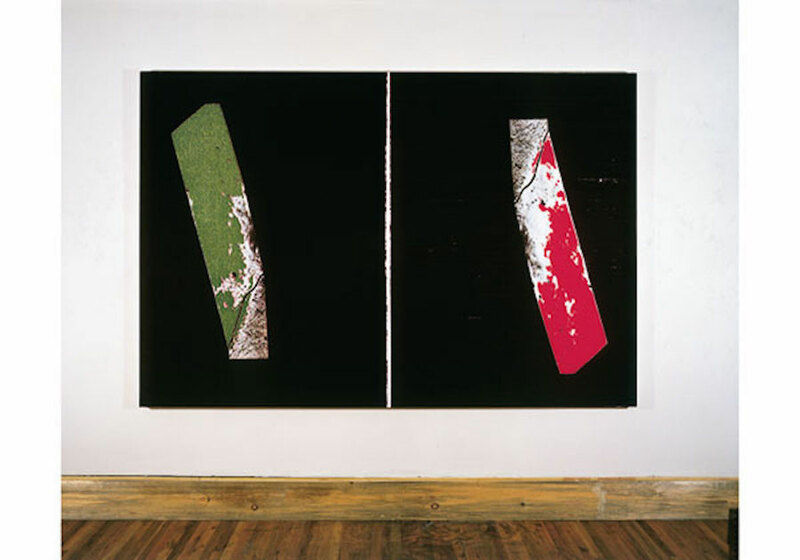 In Suite I & II (1997-1991), Balth projected sharp rectangles of light into the pitch black of night, the resulting shapes showing unexpected angles on reality. 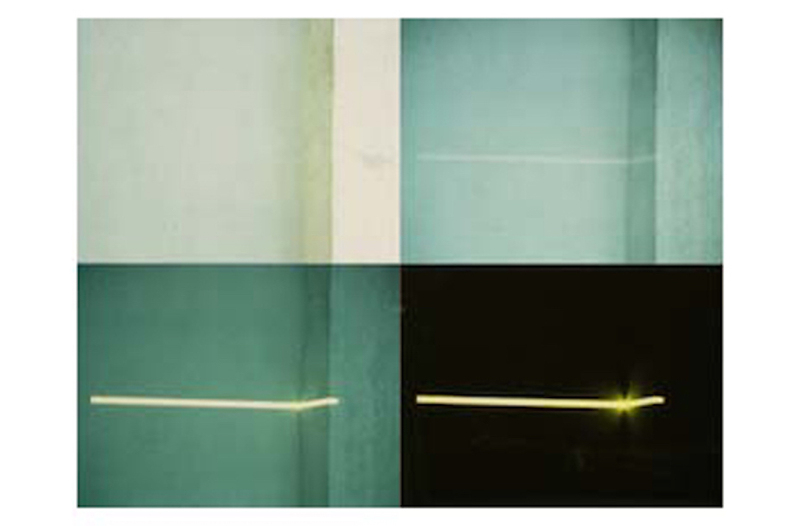 Balth arrived at these images by projecting a razor-sharp rectangle of white light into the darkness of night. 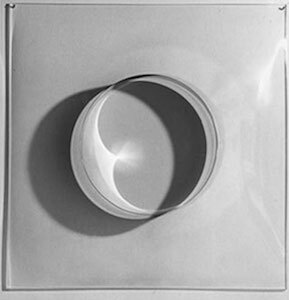 The at times capricious, at times solid shapes that resulted represent an attempt to address reality by means of artificial light in a rather abstract manner, by concretizing, rather than simulating. 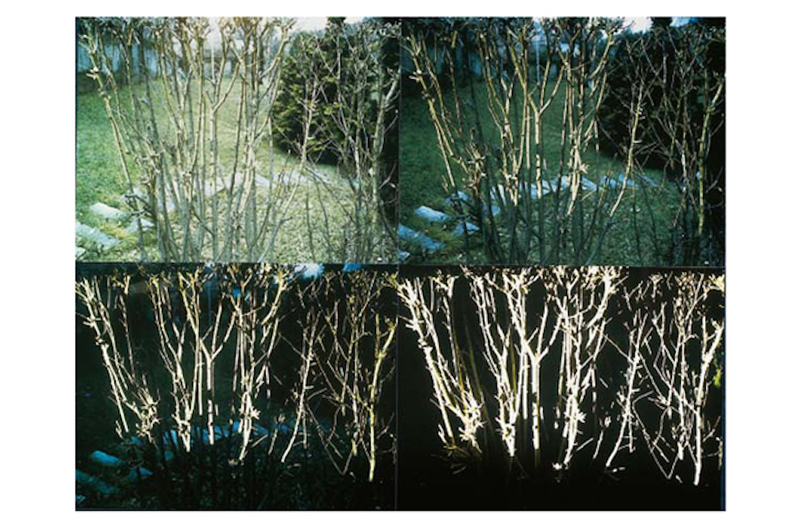 In discussions of photography, from C. S. Pierce, via Roland Barthes and Rosalind Krauss, the question of indexicality has been key, an ontological question, which lends to photography a reality effect because the print is an (indexical) trace of light captured on the sensitive plate. 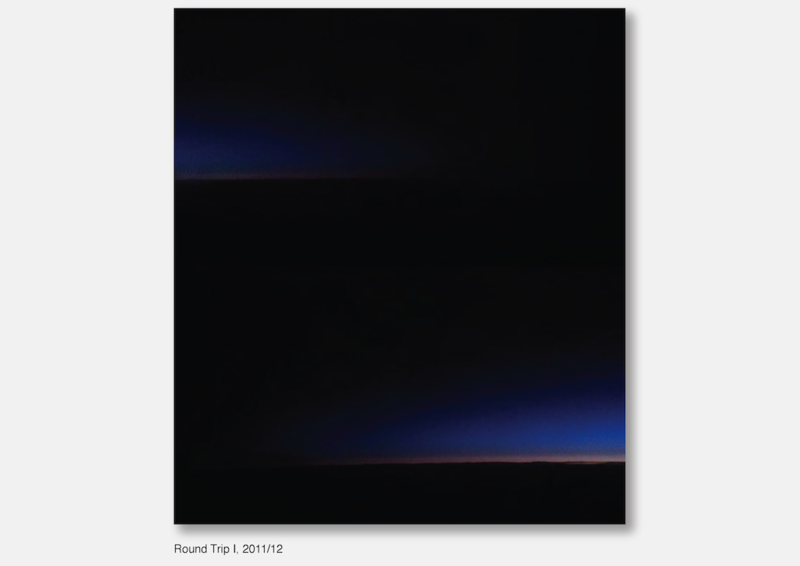 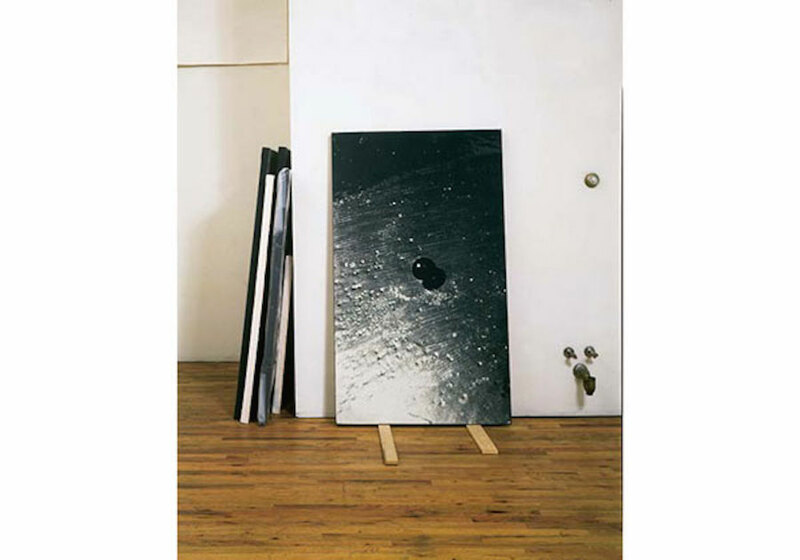 Due to the laminate on these photos, rich contrasts have been well preserved — the night is truly black, attaining a sort of materiality that contrasts with the lighter parts, which sometimes appear sculptural, sometimes take the form of a hesitatingly searching line. 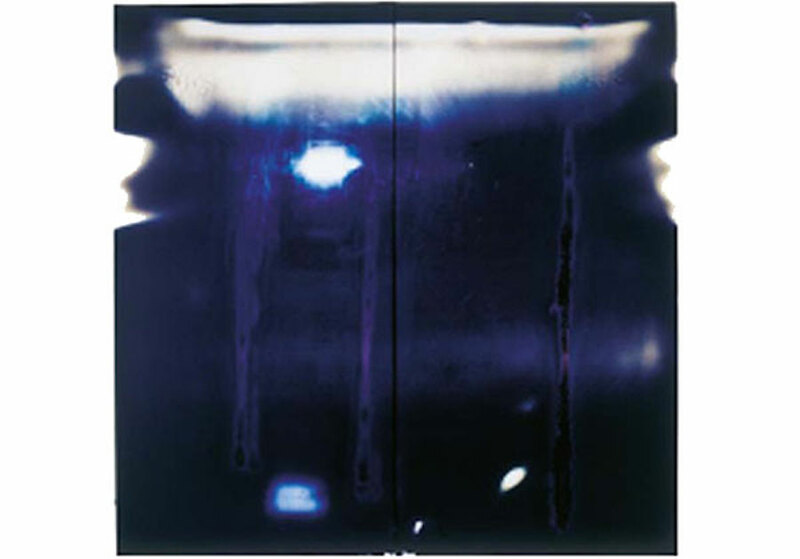 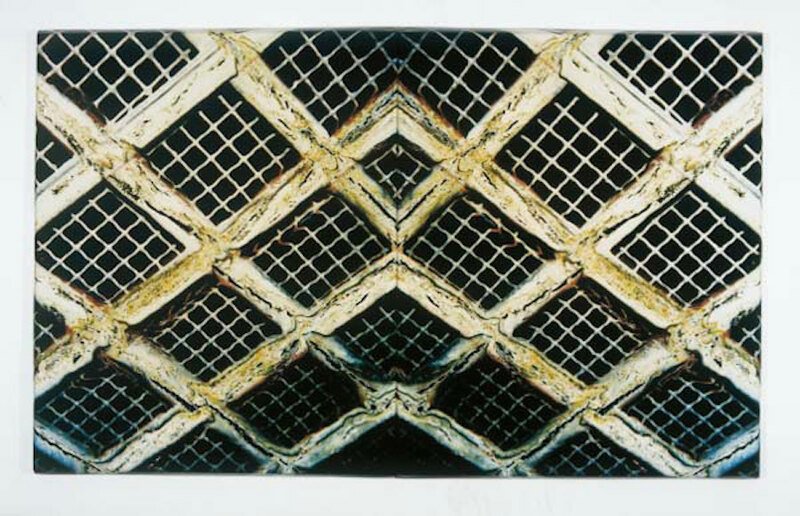 In his Polaroid Paintings (1982-1986), Balth intervened in the brief developing process of Polaroid photographs and enlarged the result, thus changing the character and meaning of real and chemically produced light. 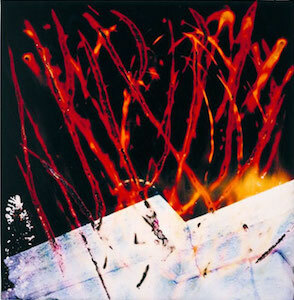 The Polaroid Paintings were created by blowing up images of Polaroid pictures manipulated during their developing process. 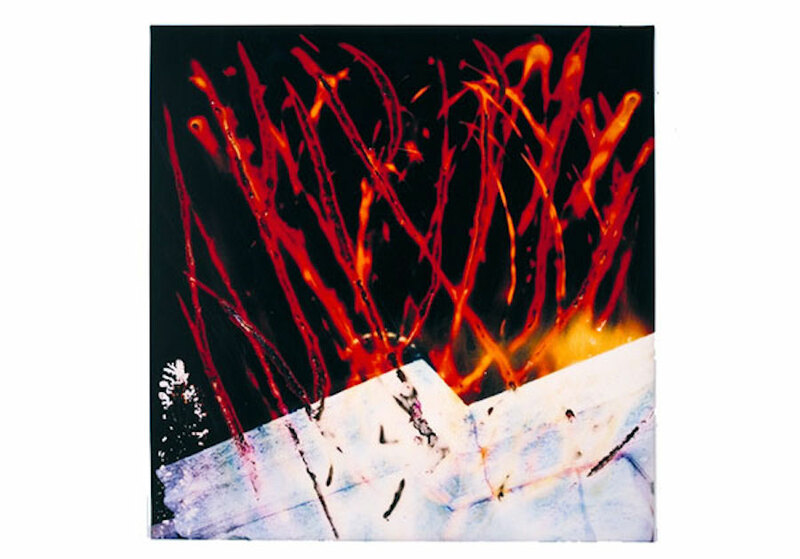 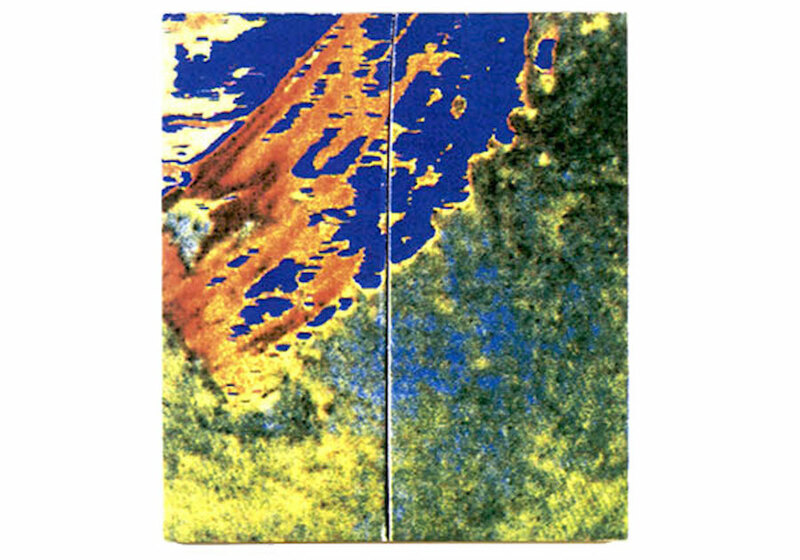 While the Polaroid picture developed, Balth applied pressure and thus affected the chemical emulsions inside the layered film paper, thus often radically transforming the image. 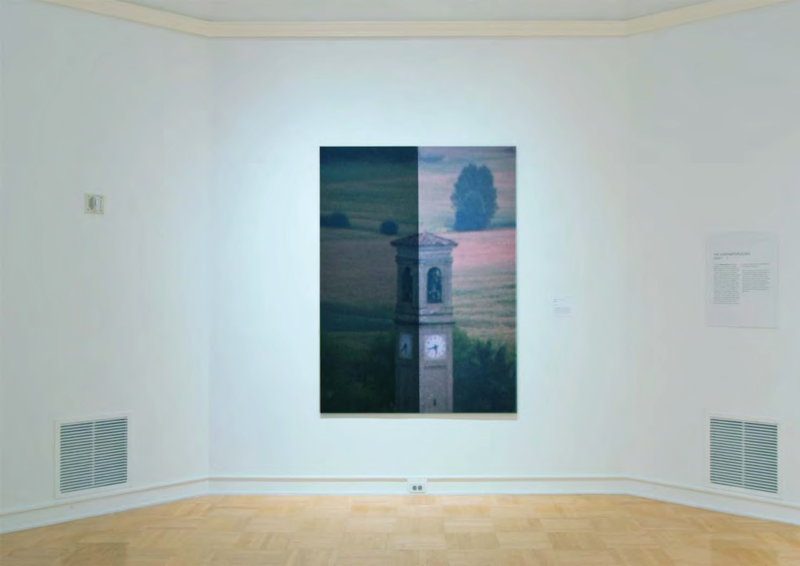 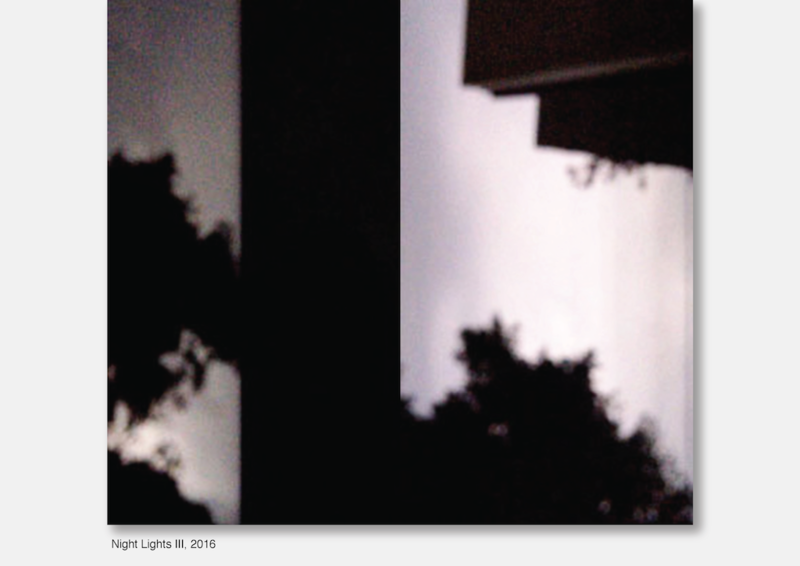 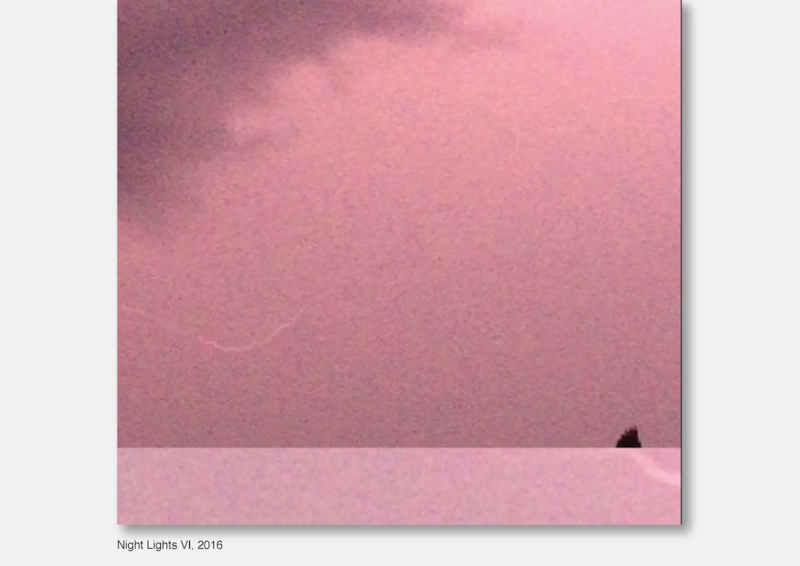 The result is a mixture of photographed reality with an additional layer of strange imagery, suggesting the registration of ethereal or intangible things involving memory and affect. 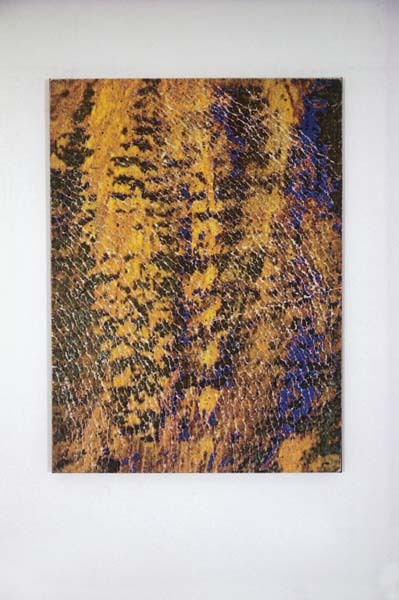 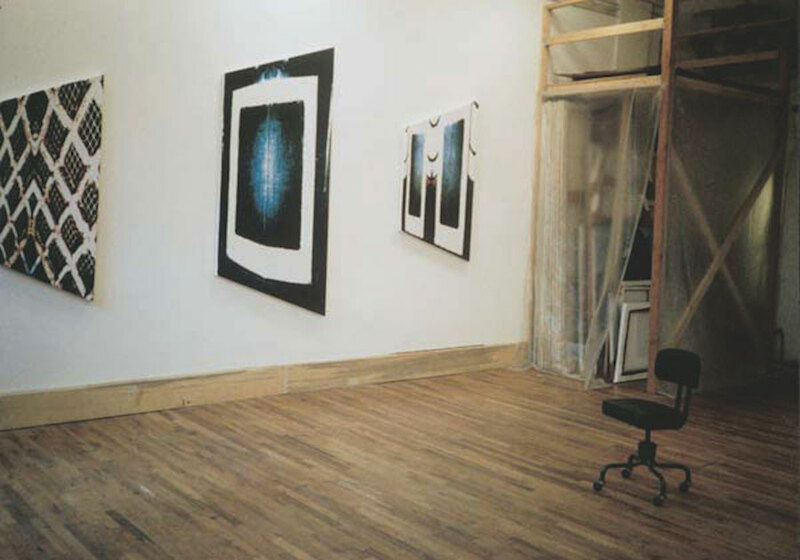 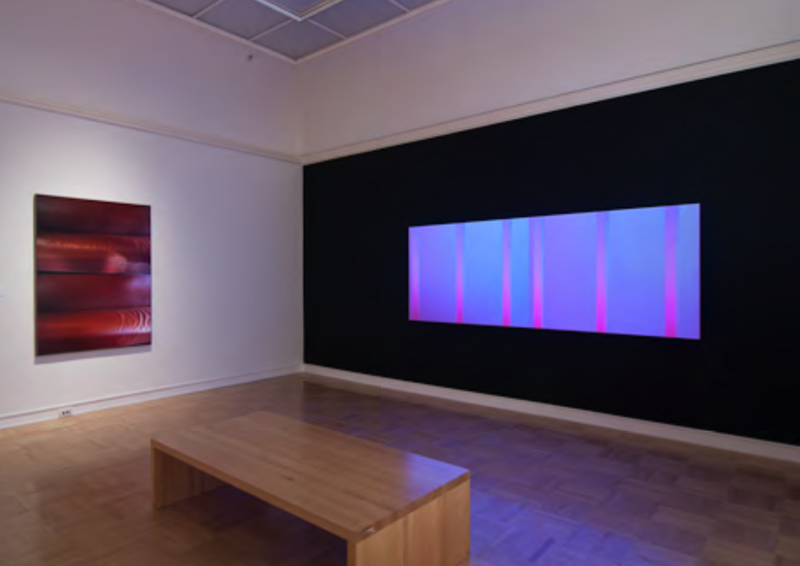 In the Laser Paintings (1986-1996), Balth explored light in different dimensions, creating a new space for the viewer. 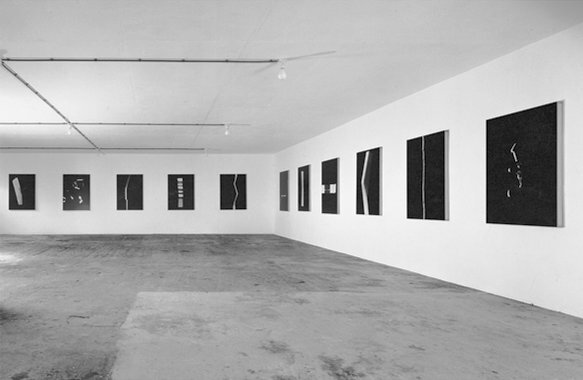 The Laser Paintings derive their name from a process Balth developed in the mid 1980s. 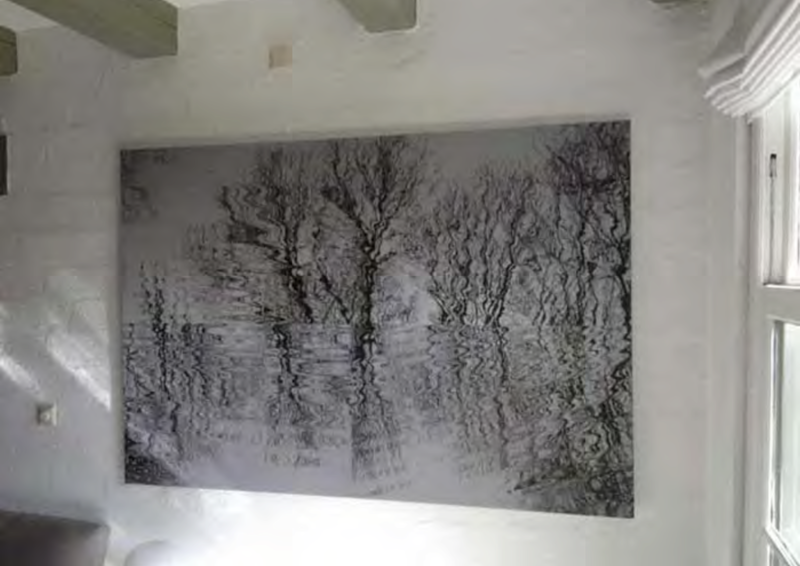 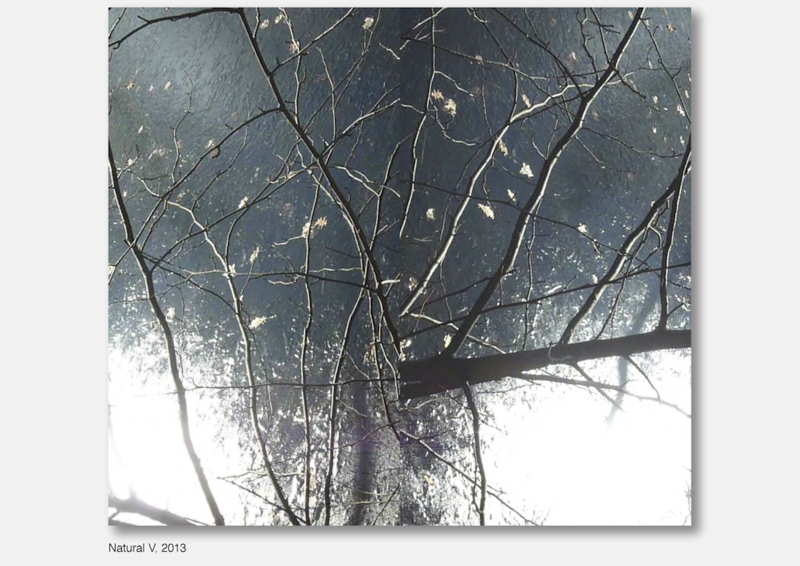 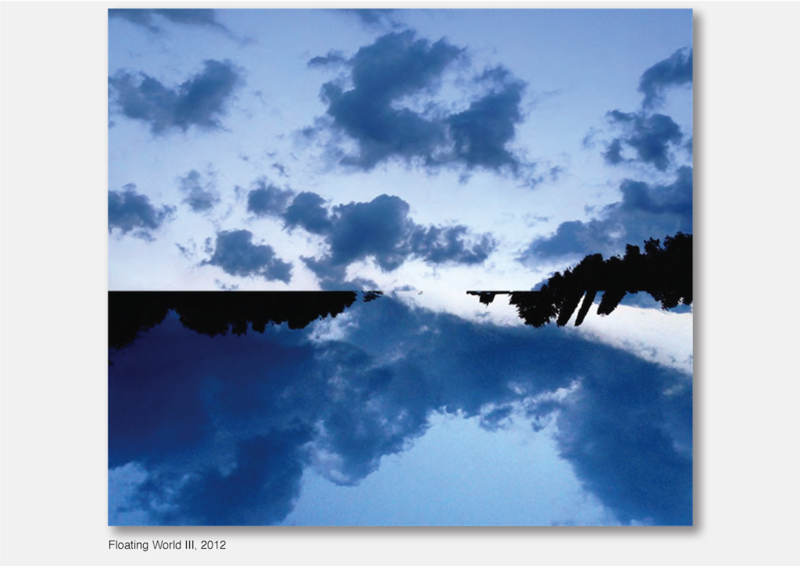 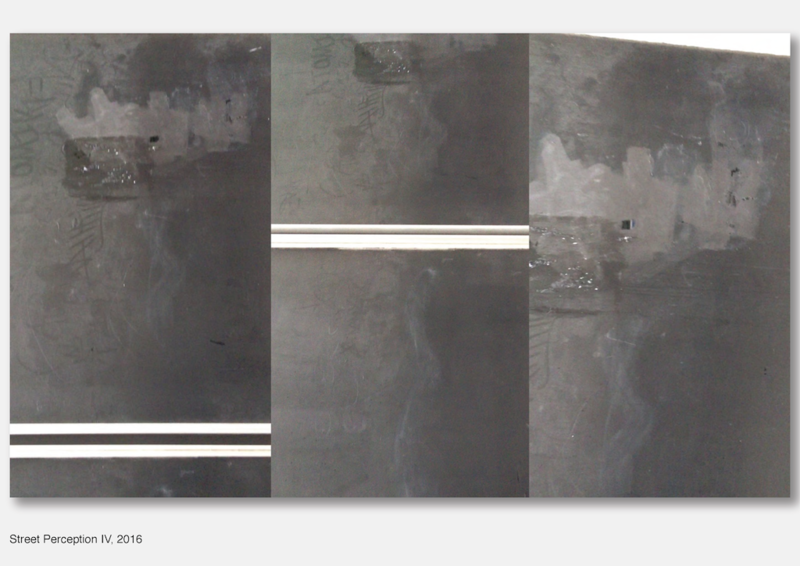 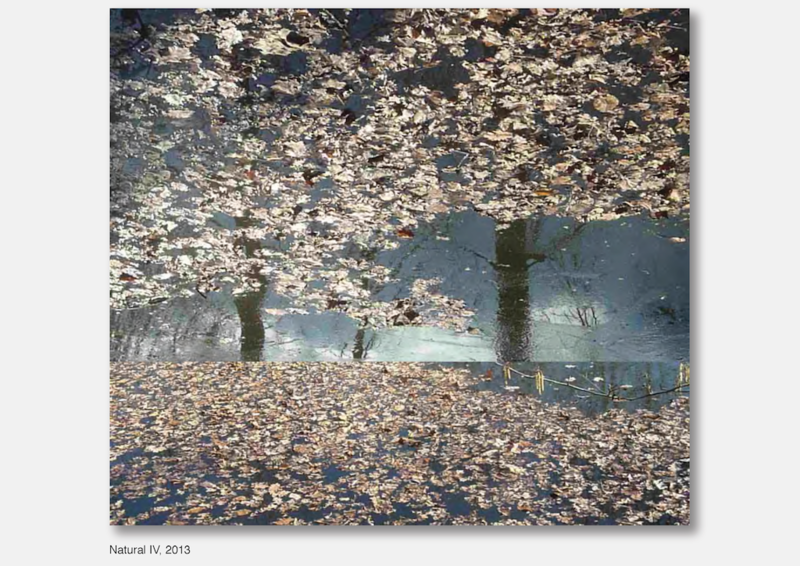 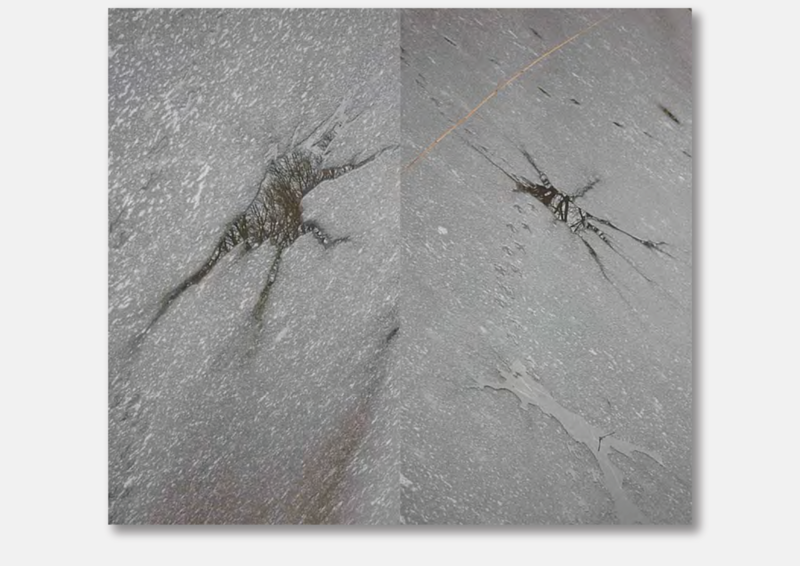 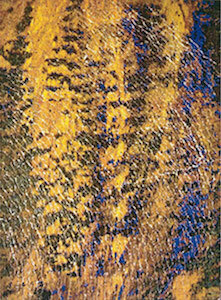 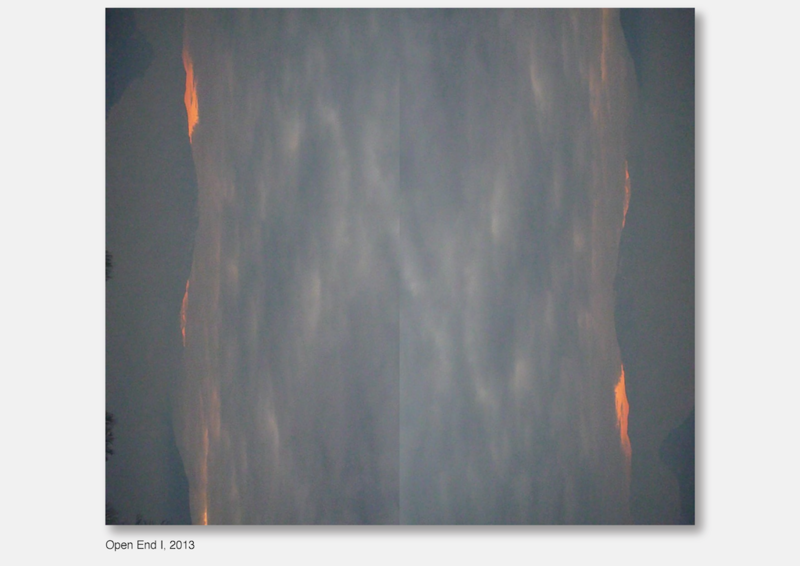 He scanned an image with a laser scanner, which he then manipulated and printed enlarged on canvas. 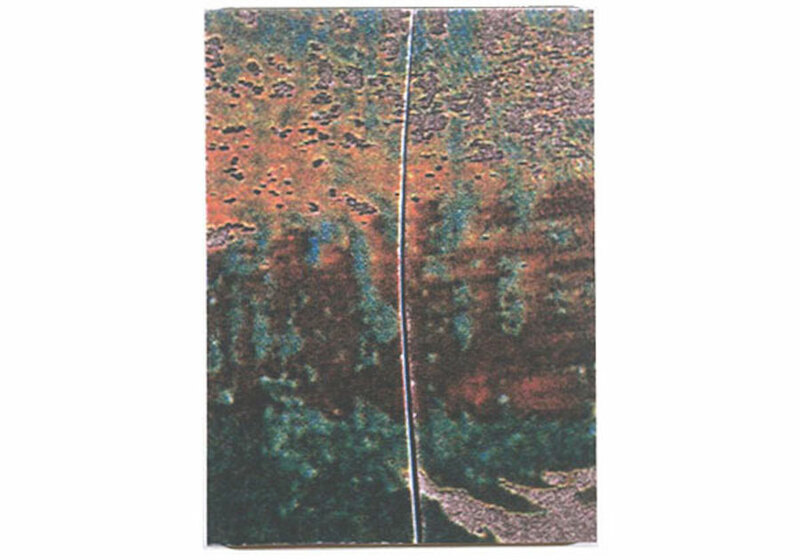 Because the canvas ran untreated and unprimed through the large inkjet plotter, the pigments in this dot-shooting process were not sprayed onto but into the canvas, resulting in beautiful sfumato color effects. 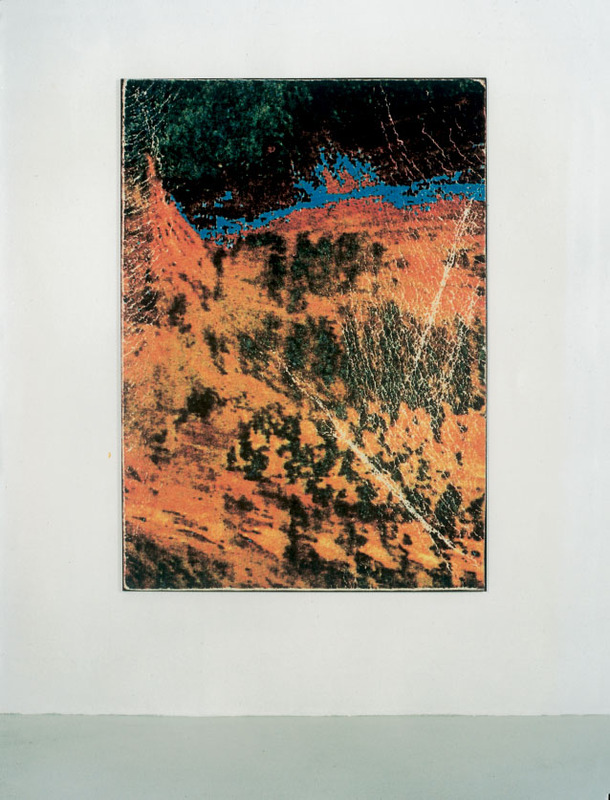 In the series which Balth in playful homage to Proust called A la recherche, we find images that are at first sight difficult to place, because the motif — Monet’s brushstroke from his Nymphéas series of waterlillies — was already blown up 2,500 times on the scanned photograph. 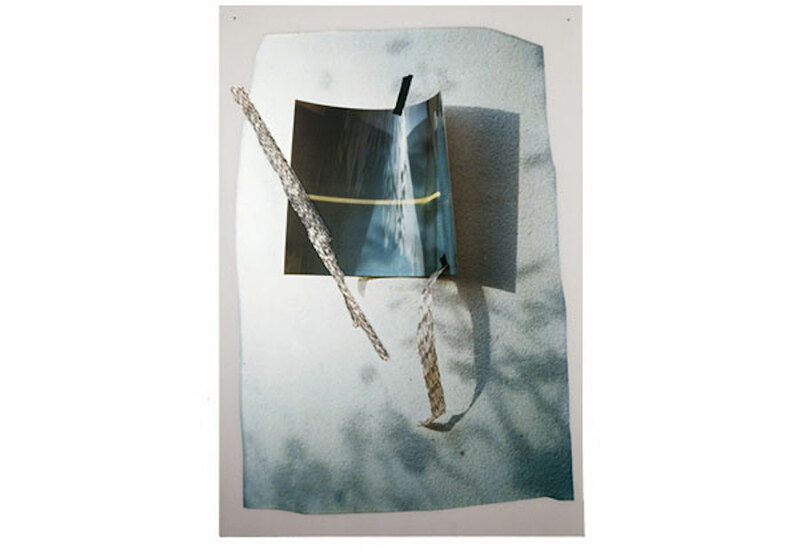 Moreover, Balth had wrinkled the paper of the photograph, so that the new image further enhances the sense of something that flows. 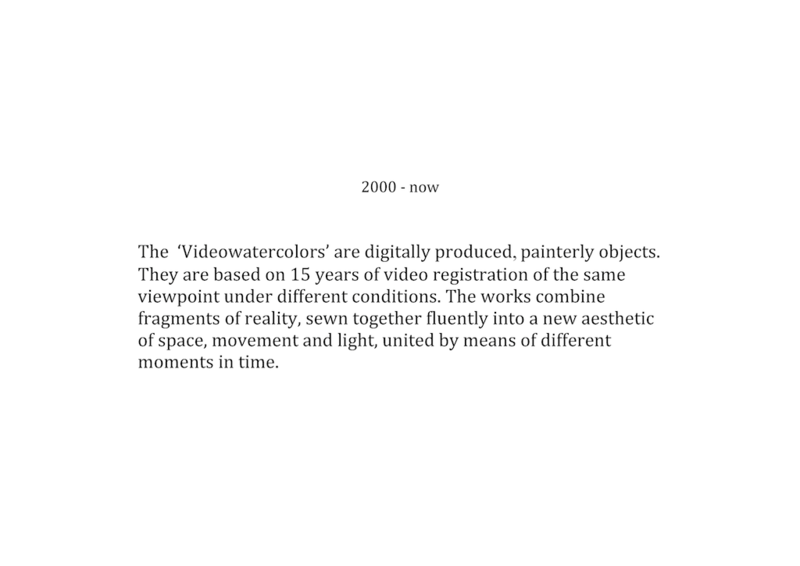 The references to Monet’s brushstroke, the capturing of the light of the moment, the sfumato of flowing color, and the disorienting effect which Leo Steinberg also noted in Monet’s Nymphéas—these all, again, conjure up an image of a water landscape. 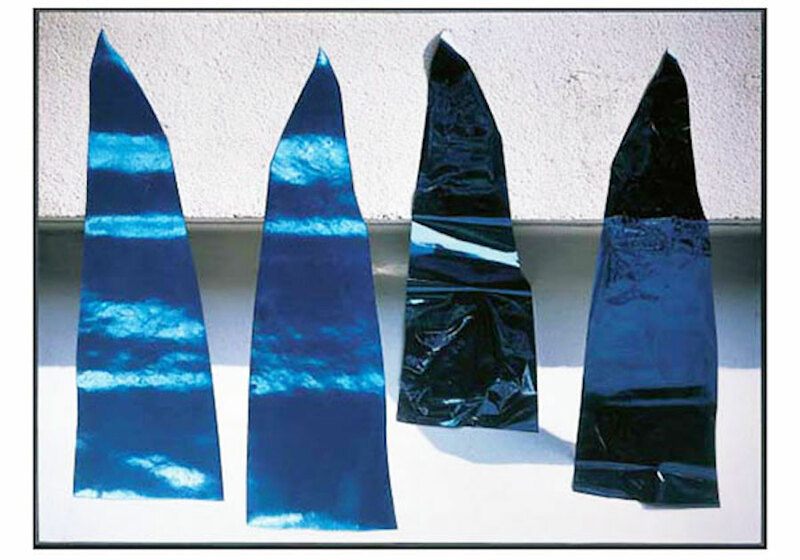 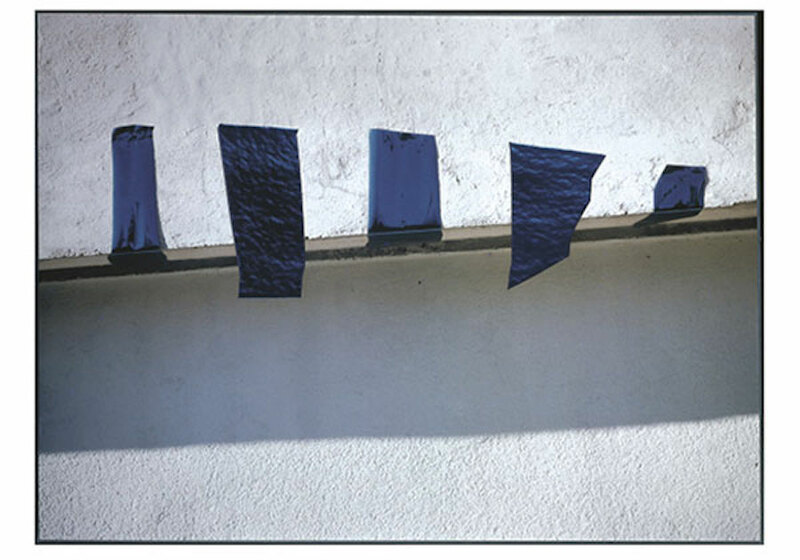 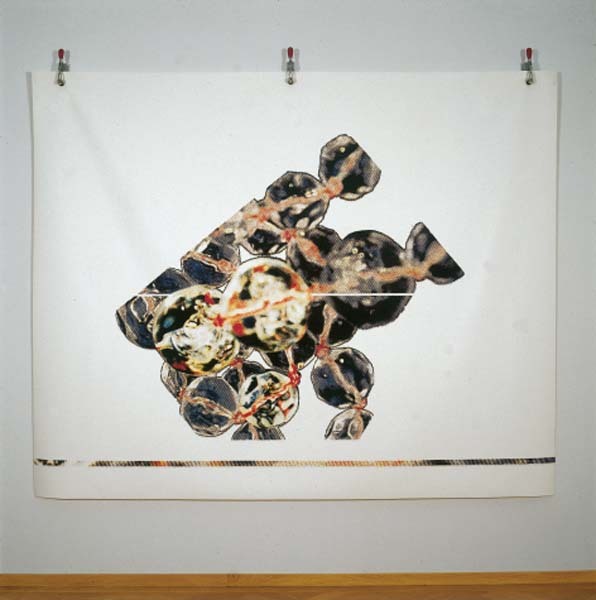 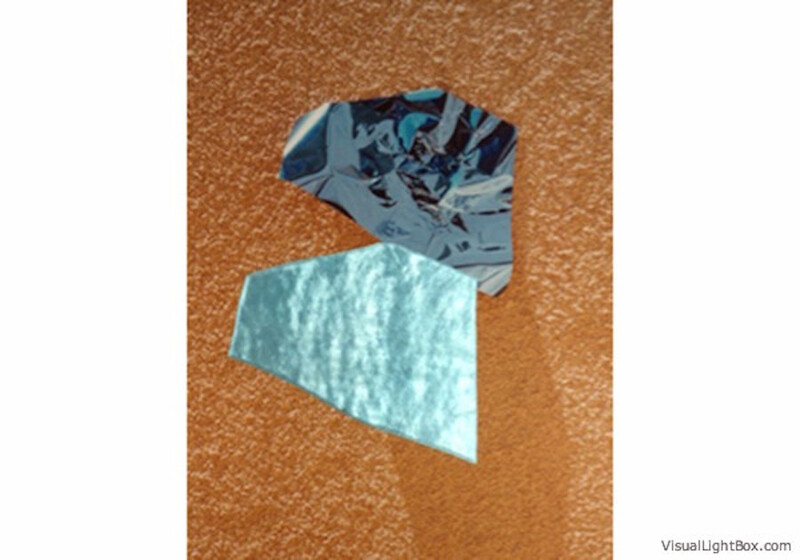 1995 - 2000: The Natsune Paper Works (1995-2000) turn layers of thin Japanese paper into floating, flexible objects. 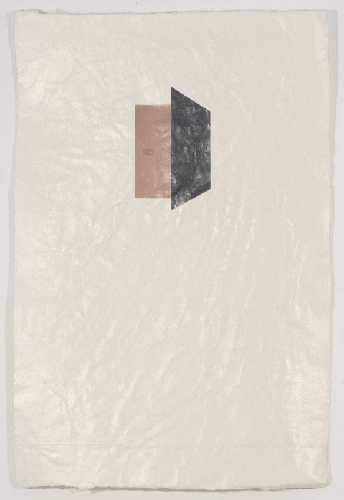 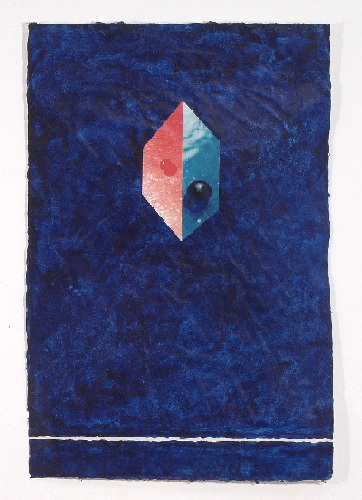 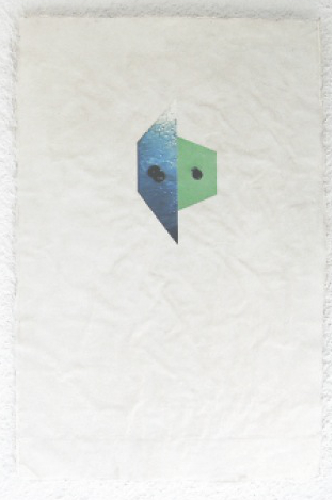 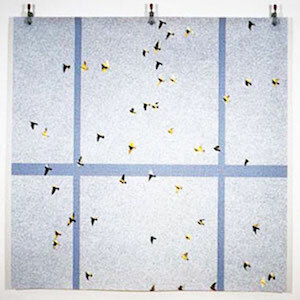 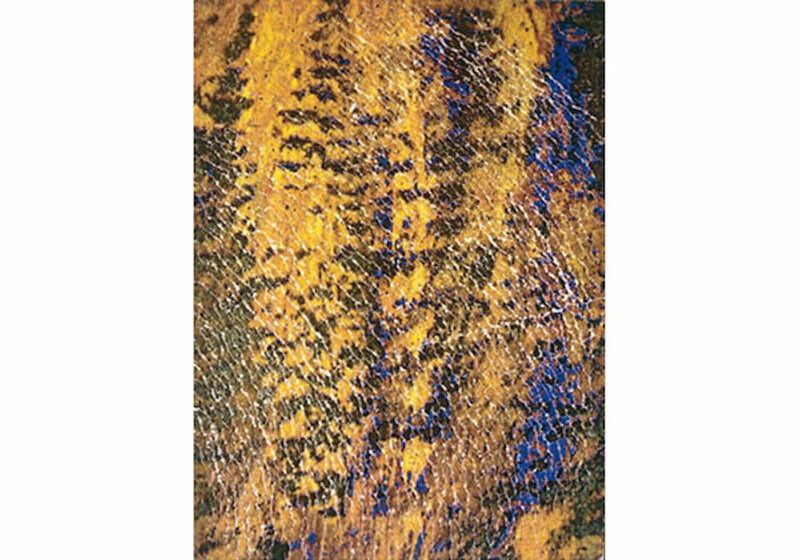 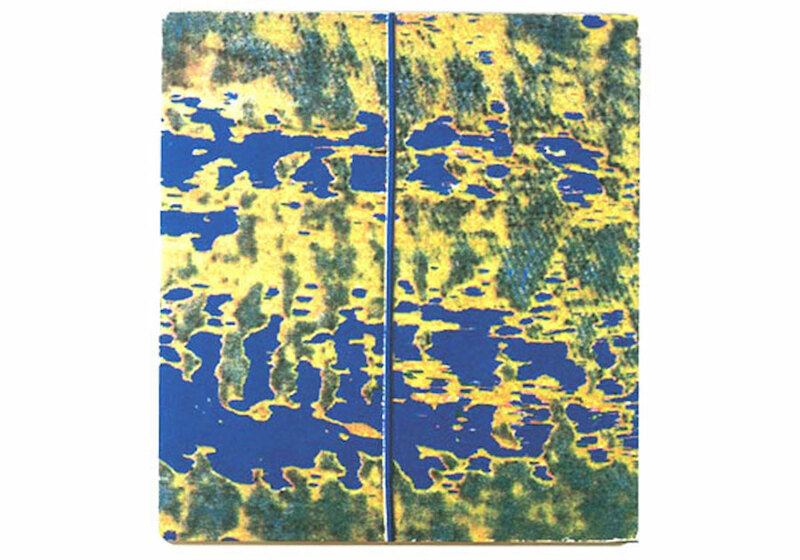 In the In the Natsune Paper Works (1995-200), several layers of traditionally crafted, ultrathin Japanese paper are pressed together, so that they merge into floating, flexible objects that poetically incorporate motifs from the other series. 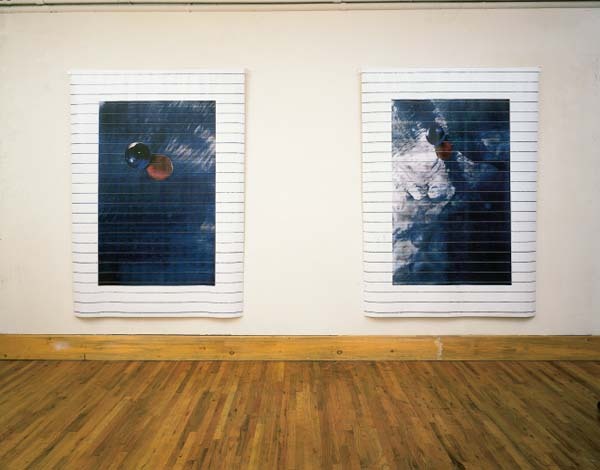 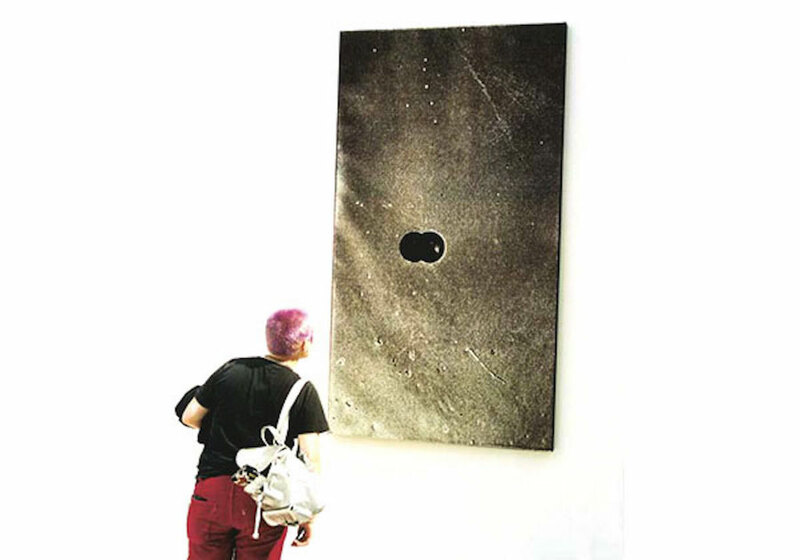 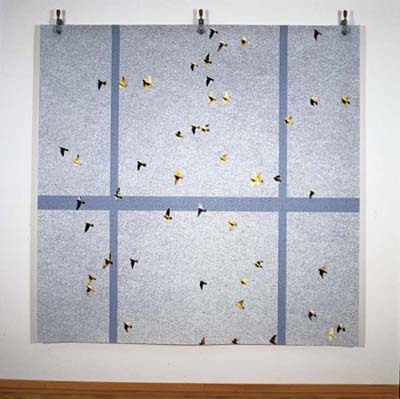 The Vinyls (1997-1999) explore qualities of light on pliable, undulating surfaces, alternately invoking questions of social connectivity and ethical responsibility. 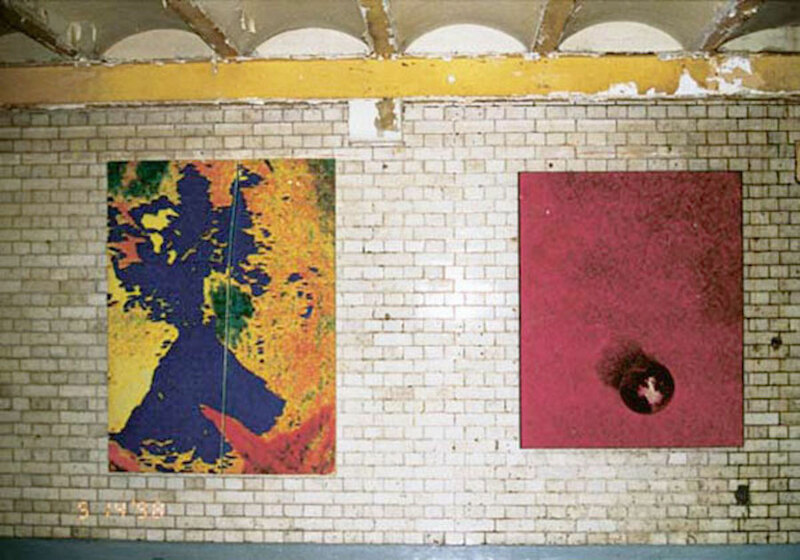 Balth in The Vinyls used the same process of the dot-shooting of colour, not on canvas, as with the Laser Paintings, but on vinyl, which keeps the tiny dots intact and produces a ‘pointillist’ merger of colours on the retina. 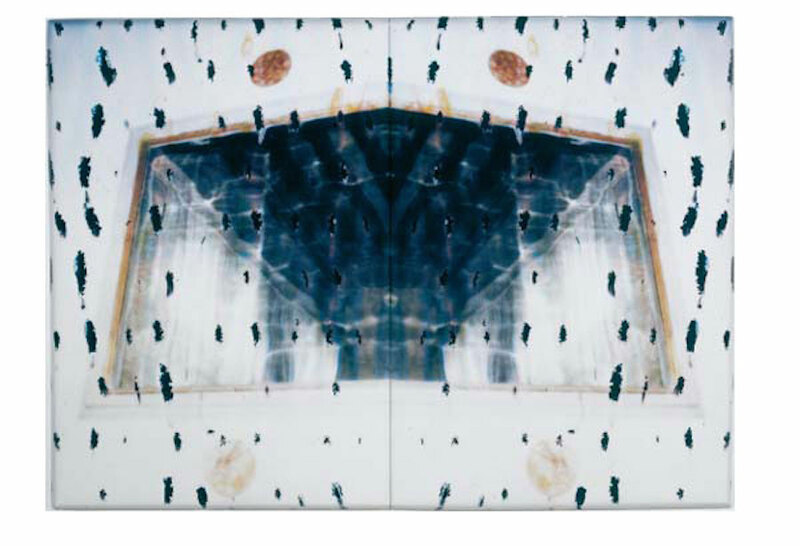 He thereby draws the viewer into a playful mobility between close-up and distance, while simultaneously conjuring up a new imagery on the edge of recognisability, imagery that abstractly invokes questions of social connectivity and ethical responsibility. 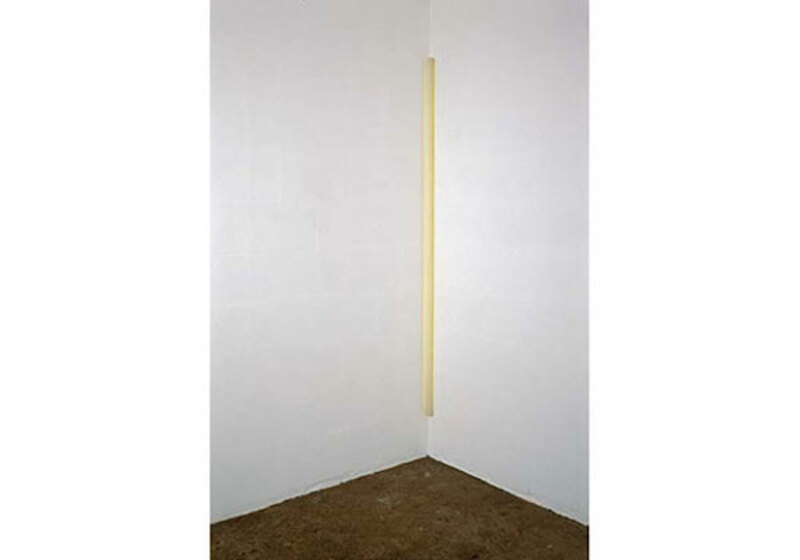 The search for the deeper qualities of light and reflection, coupled with a pliable, undulating surface and often contemplative mood, invokes a Proustian search for lost time.